BEFORE HE'S ALL GONE ! 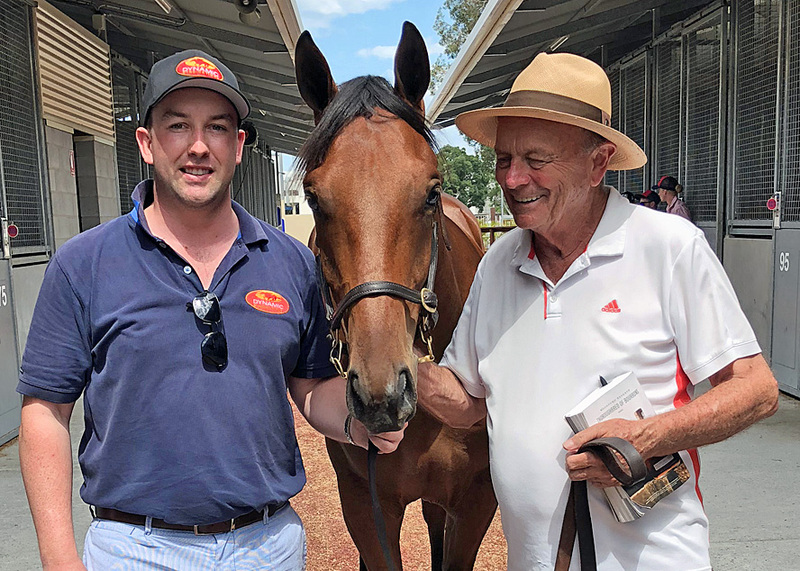 So taken by the yearling he had produced, when GERRY HARVEY heard that DYNAMIC SYNDICATIONS were the purchaser of his COLT and would be giving him to GAI & ADRIAN to train Gerry immediately purchased 25% back into this COLT to race in co-ownership with us. 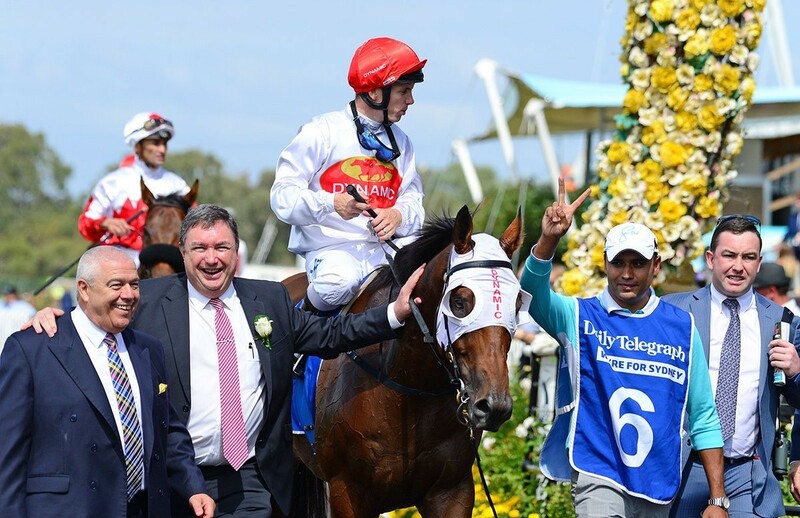 "SPEED ON SPEED - He’s one for the 2yo race next year and with Gerry Harvey, together we’re going to try and win the Magic Millions." 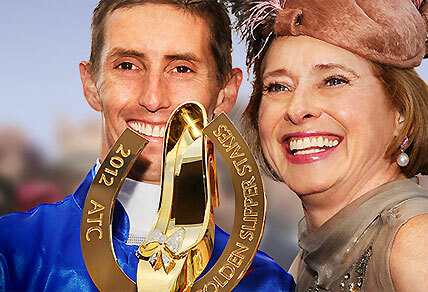 "Exosphere won the Golden Rose, a Gr1 race and he was favourite for the Golden Slipper. "Exosphere was a real speed horse, and the other thing this colt's out of an Exceed And Excel mare, and you can’t get better. 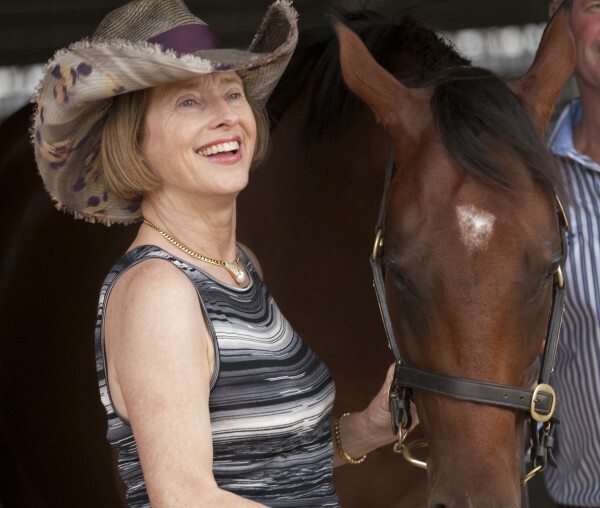 "Exceed And Excel was a real speed horse and you’ve got another horse in the pedigree, I sold it named BARBARICUS and it was a Gr2 Winner and ran 2nd in a Gr1. 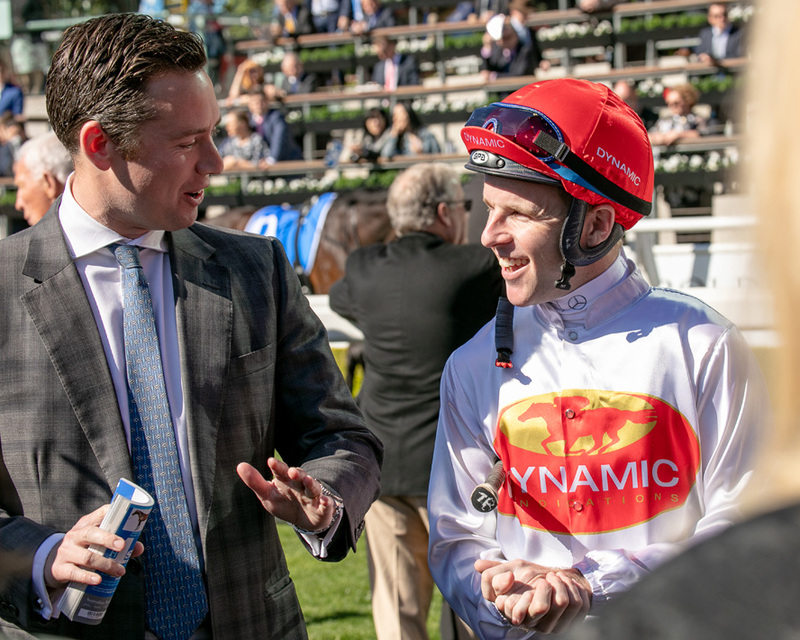 "So you’ve got a really good pedigree, you’ve got a very good sire, and the mare is by Exceed And Excel so you’ve got really good breeding, he’s a nice strong horse and I think it’s a real chance. "He was bred in New Zealand on pastures that are very good. 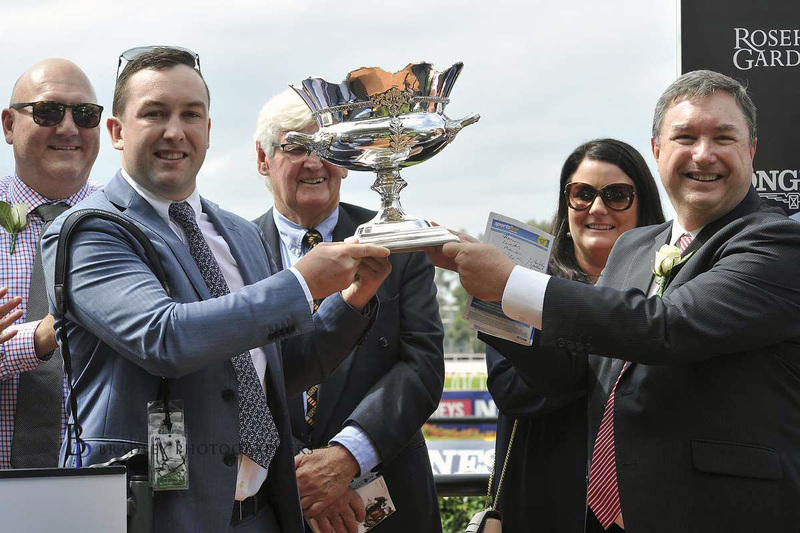 "I went to a lot of trouble to bring him to Australia, because I thought he was a nice horse and it cost me a lot of money to get him here but you know I am pretty happy with this horse." Exosphere - first yearlings selling in 2019 from Dynamic Syndications on Vimeo. ABOVE: Here We Go ! 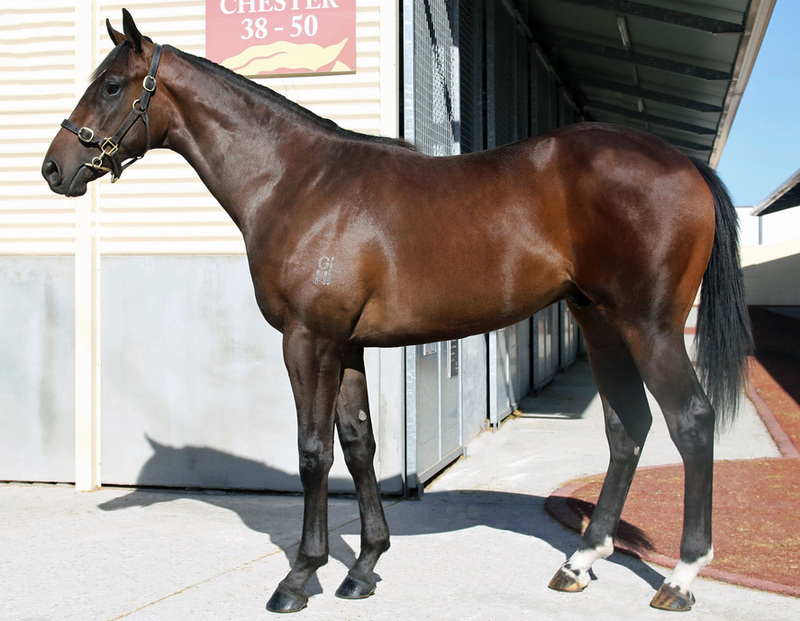 Want to see this Spectacular Colt running freely in the paddock? 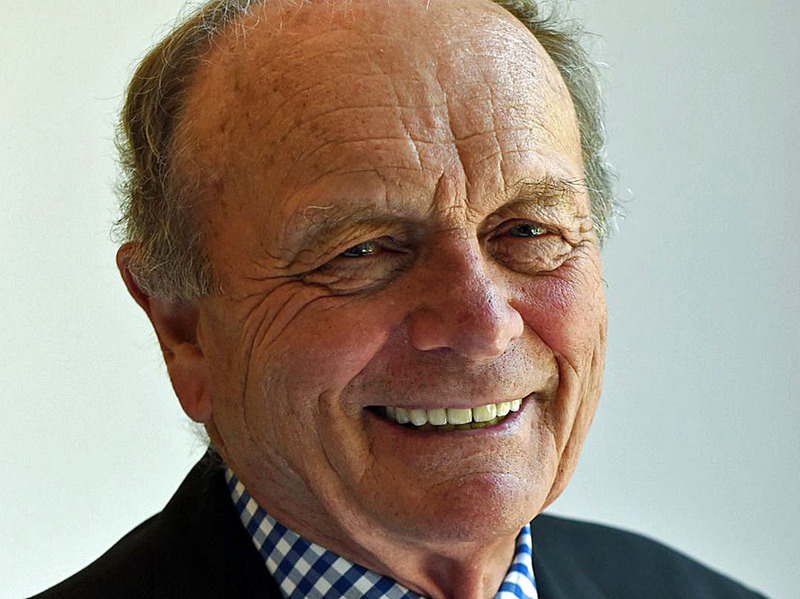 See for yourself why Gerry Harvey purchased 25% ! before heading off to the breaker. 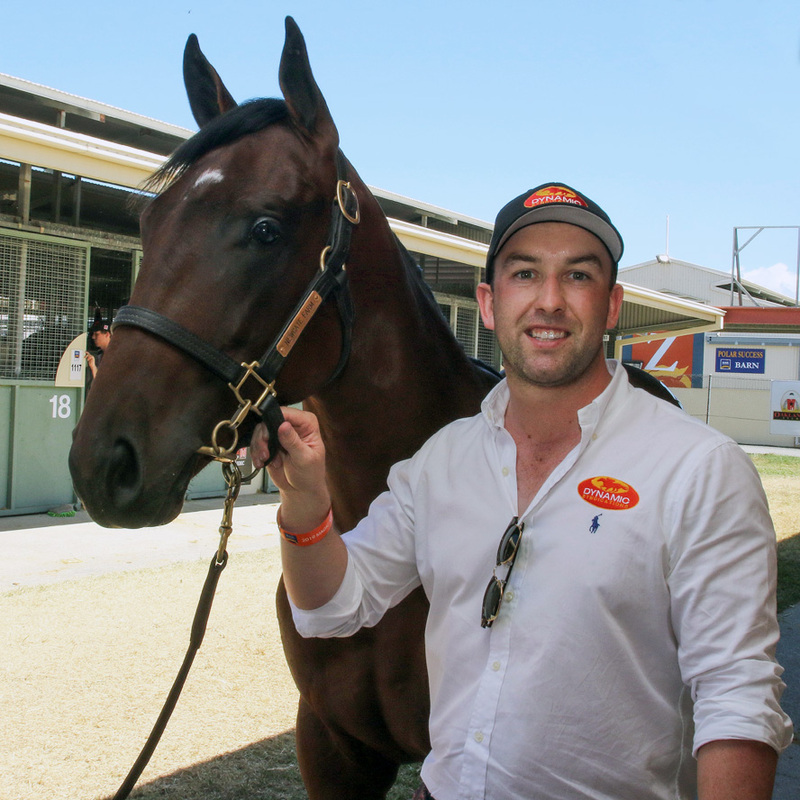 Lot 561 - Exosphere x Excessively colt from Dynamic Syndications on Vimeo. 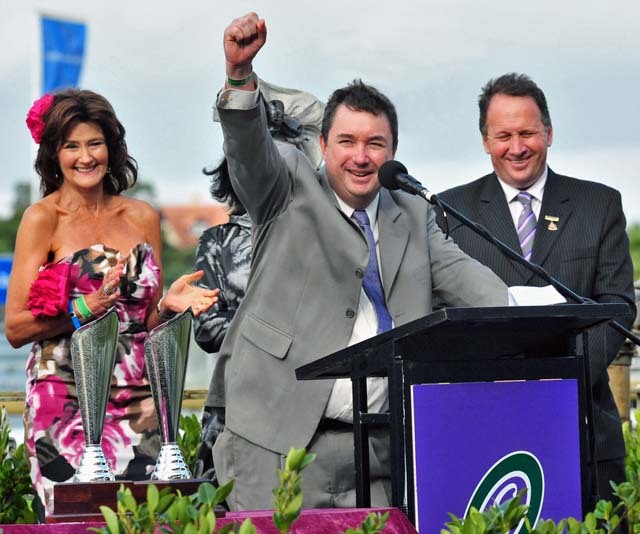 Dr Tim - Exosphere x Excessively from Dynamic Syndications on Vimeo. 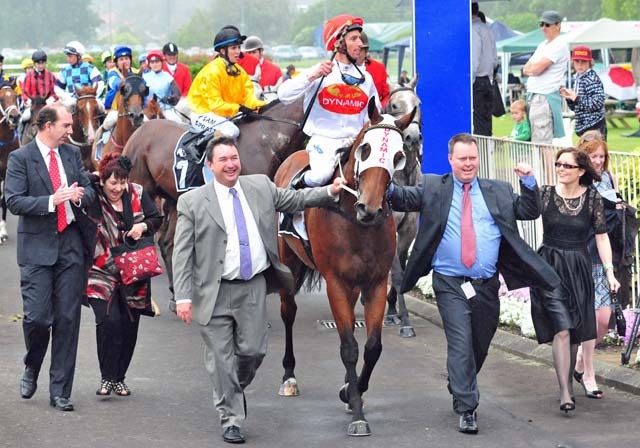 Exosphere - Golden Rose from Dynamic Syndications on Vimeo. 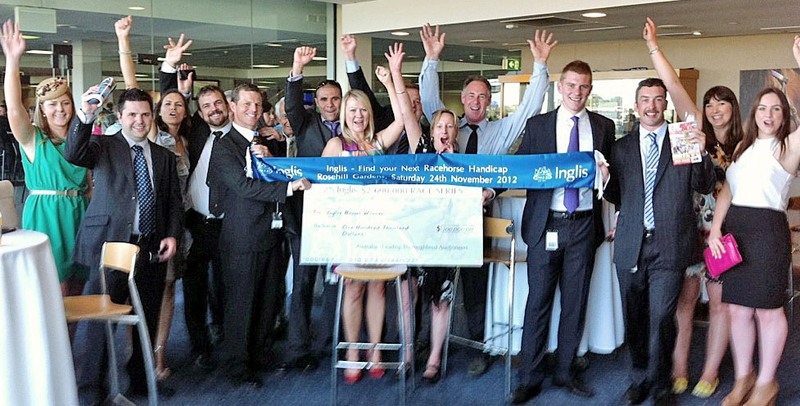 Exosphere - Skyline Stakes from Dynamic Syndications on Vimeo. 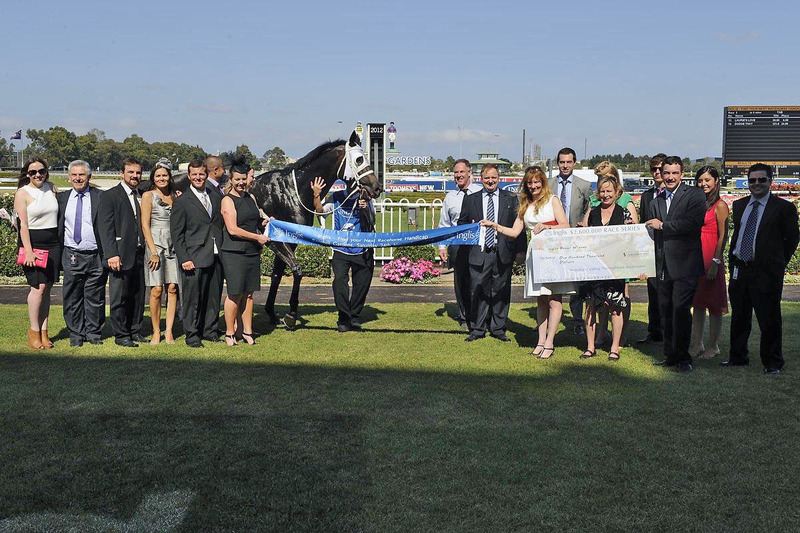 Exosphere - Roman Consul Stakes from Dynamic Syndications on Vimeo. he would be worth a lot of money. 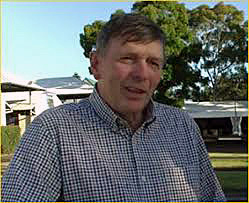 EXOSPHERE Colt with Uncle Gerry from Dynamic Syndications on Vimeo. 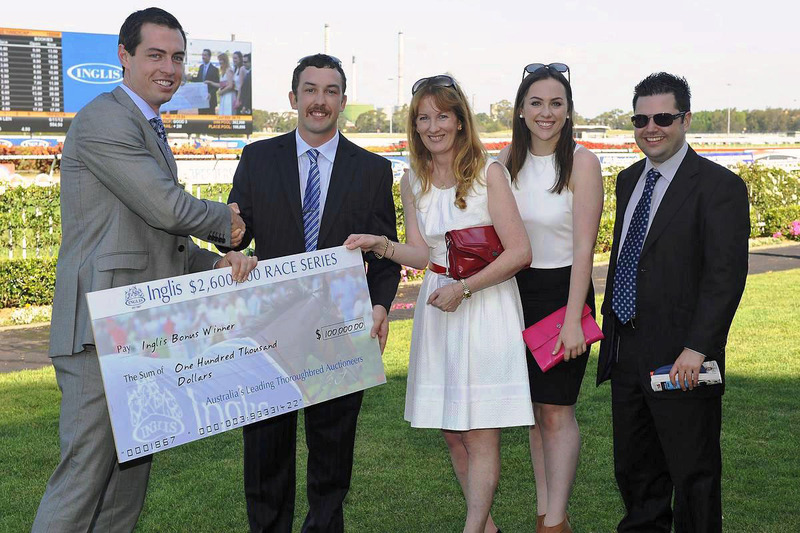 an excellent equine opportunity and a wonderful racing prospect. 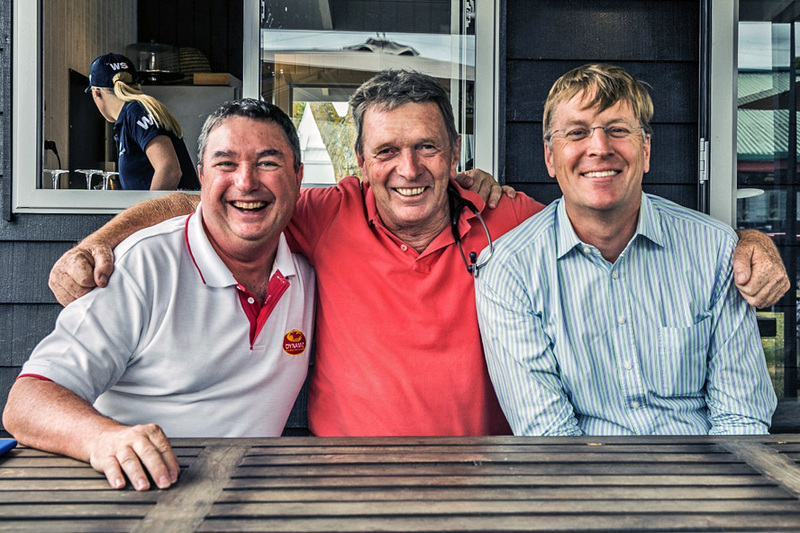 as an Owner your Part of a Dynamic Team! 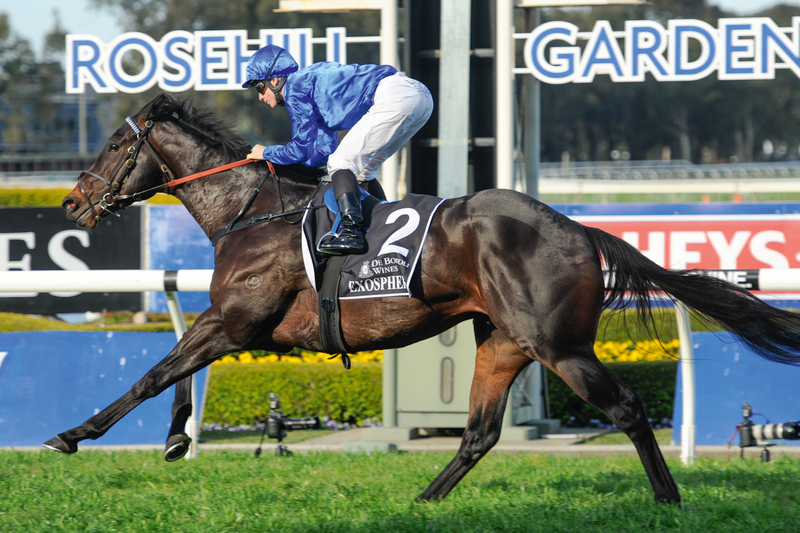 * EXOSPHERE is Lonhro’s Multiple Record-Breaking Champion Sprinter and was the BEST Horse of his Generation. * EXOSPHERE is a stallion Darley / Godolphin have high hopes for. 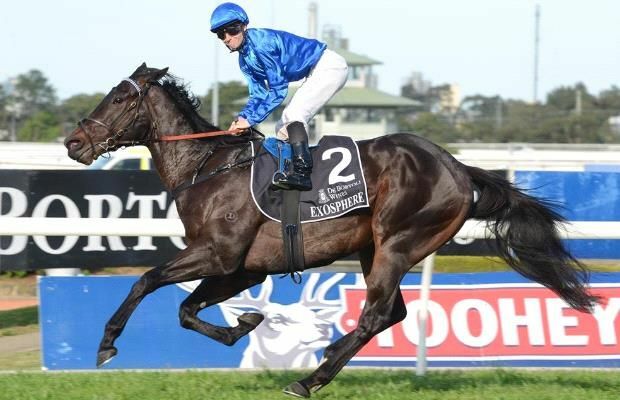 * EXOSPHERE was rated at a comparative age Superior to Exceed And Excel, Redoute’s Choice and Fastnet Rock. 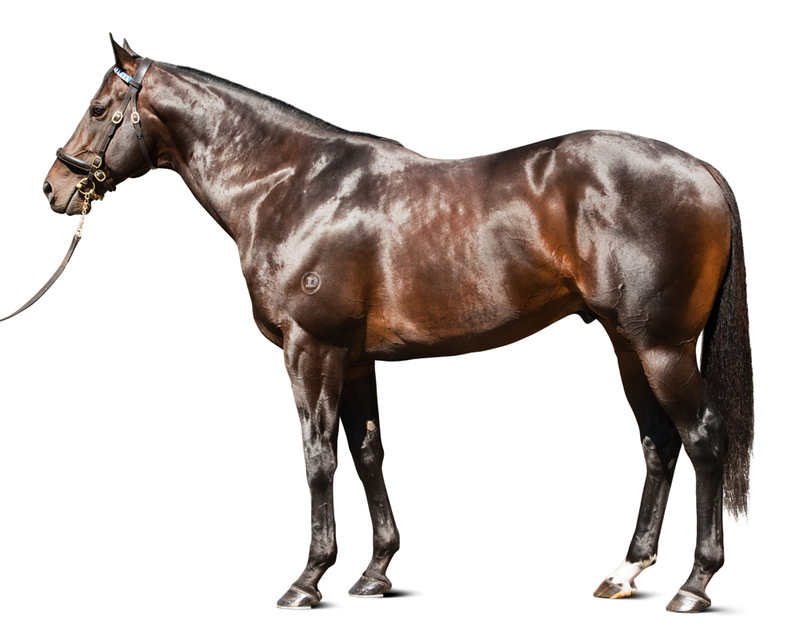 * Given the success of Lonhro and now his champion son Pierro, whose well established as a genuinely top class sire, it's no wonder there is considerable anticipation surrounding the progeny of Exosphere - his next superstar son to stud. * Exosphere, Darley's powerhouse sprinter was a horse whose physical presence on raceday was formidable. * A brilliant juvenile that trained on to score a dominant win in the Group 1 ATC Golden Rose at three, Exosphere was retired lightly raced * with 5 wins from 10 starts. * His size and strength is apparent in his yearlings and if his raw ability is passed on as well, then owners of his progeny will write another chapter in the success of Lonhro as a sire of sires. 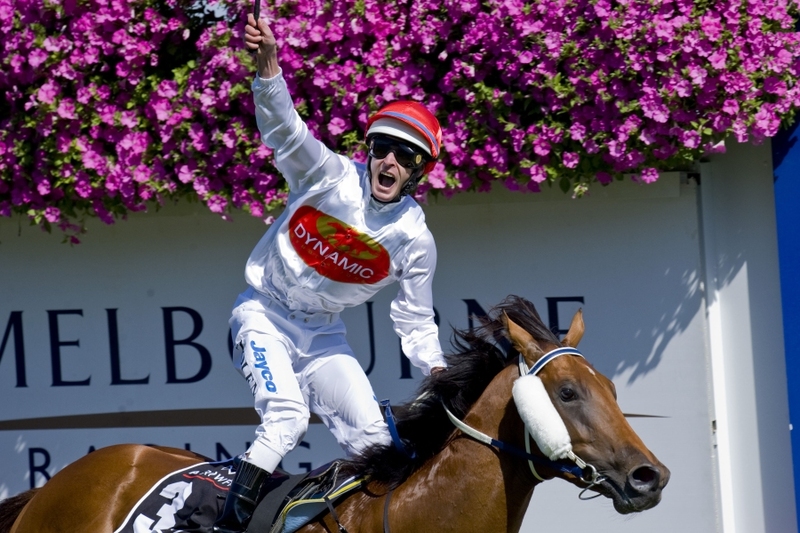 * He joined the Darley roster and stands at Darley’s Kelvinside Stud in Scone. Richly talented Exosphere made his mark on the racetrack early. The Godolphin Team sent him to the races at Rosehill as an early 2yo on the 1st November just for educational experience and he was then spelled with the Autumn in mind. 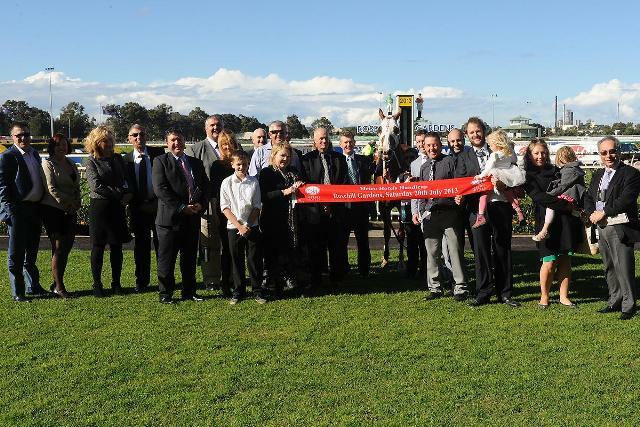 He resumed first-up winning on the 14th February when breaking his maiden by 4.3 lengths at Kembla Grange. However it wasn’t your standard 2yo maiden because chasing him into second spot was the talented multiple stakes-placed Mogador and 2 lengths further back was subsequent Black Opal Winner then Gr1 Winner, Takedown. At his next start he posted another dominating 4 length victory in the Gr2 Skyline Stakes over 1200m with Odyssey Moon in second place and Wolf Cry a further 2 lengths back in third and Mogador fourth. 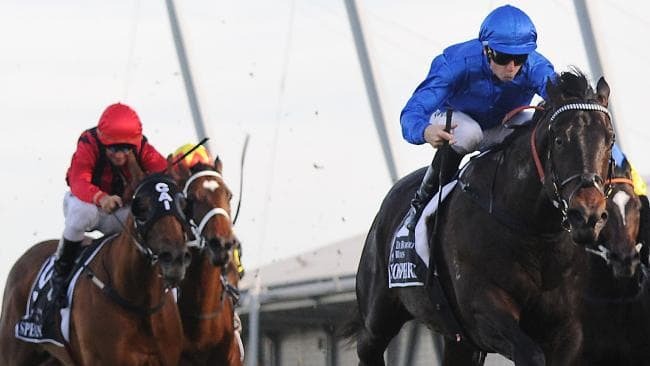 With his ability as a leading juvenile now confirmed on the track, the son of Champion Sire Lonhro was aimed at the very best races for the rest of his career. 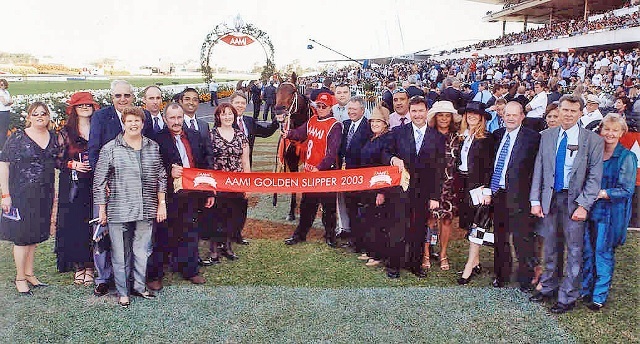 He started a clear $4.60 second favourite to Vancouver ($2.50) when he next raced in the Golden Slipper however unfortunately the horse suffered an injury in the run and finished down the track and was spelled. 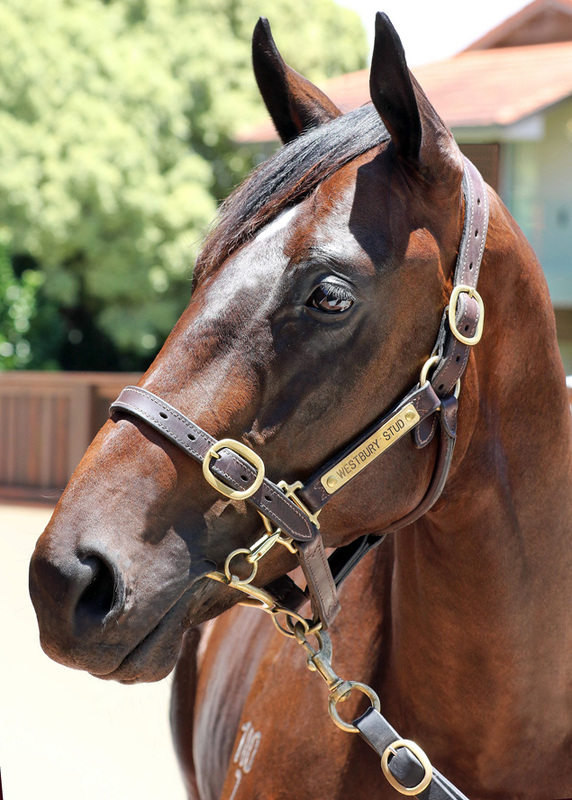 As a 3YO, Exosphere won his first three races for the season in succession. He resumed in dominant fashion winning the Gr2 Run To The Roses by 1.3 lengths over Press Statement and Holler with Japonisme in fourth and Redzel in fifth. 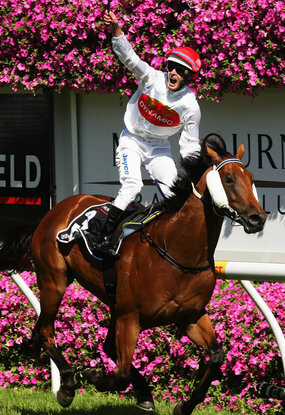 Next was his highlight 2.3 length victory in the Gr1 Golden Rose over Speak fondly and Sebring Sun. This cemented Exosphere as the Top of his Generation. At his third run for the preparation he stepped out in the Gr2 Roman Consul Stakes and as a $1.40 favourite demoralised Zoutenant by 3.3 lengths with Japonisme, back in third. The boom colt ended his spring with a stunning run for a desperately unlucky fourth in the Gr1 Coolmore Stud Stakes behind Japonisme who he had easily beaten twice previously. 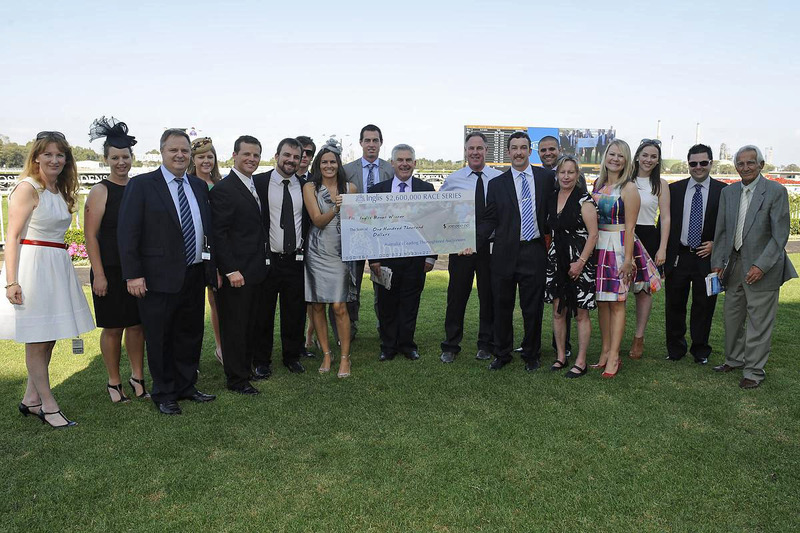 When he resumed in the Gr1 Lightning Stakes in the autumn, he took on the older horses. He ran fourth to champion sprinter Chautauqua whilst Terravista ran second and Japonisme ran third. 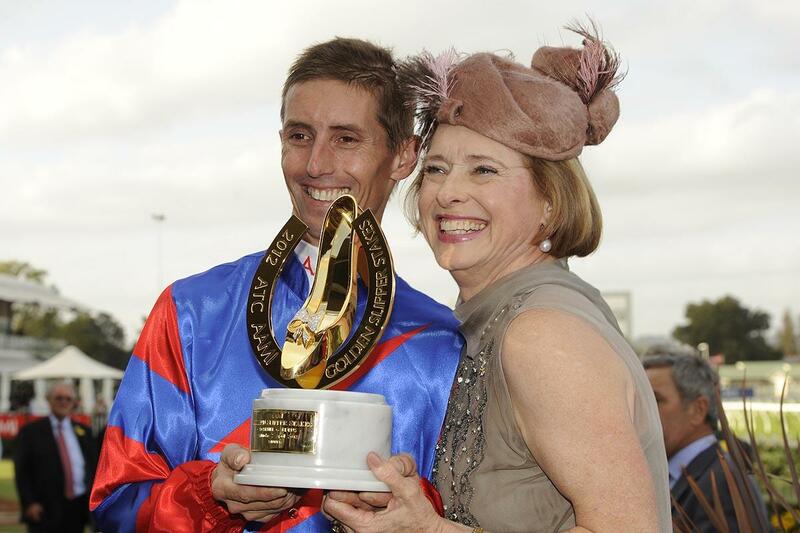 There would be 6 weeks between this run and his next start in the Gr1 TJ Smith at Randwick in early April. He barrier trialled mid-March to keep his fitness levels up which he easily won. Then at what proved to be his final race start, he lined up in the TS Smith Gr1 as $3.10 favourite but unfortunately broke down in this race and was immediately retired. A Champion Sire and Horse of the Year, Lonhro is one of those rare horses who can do everything and with 82 stakes-winners (11 Gr1 winners) in his own right, he is now also fashioning a solid reputation as an emerging sire of sires with the likes of Pierro (15 stakes winners), Denman (12 stakes winners), as well as many young stallions with youngsters about to hit the track. His progeny can sprint (Exosphere, Denman, Bounding, Impending, Kementari etc), run early (Pierro), and be classic horses (VRC Oaks winner Aristia). Exosphere is the second foal out of a four-time city winning Danzero mare, Altitude. Her first foal, Elevates, is also a winner. 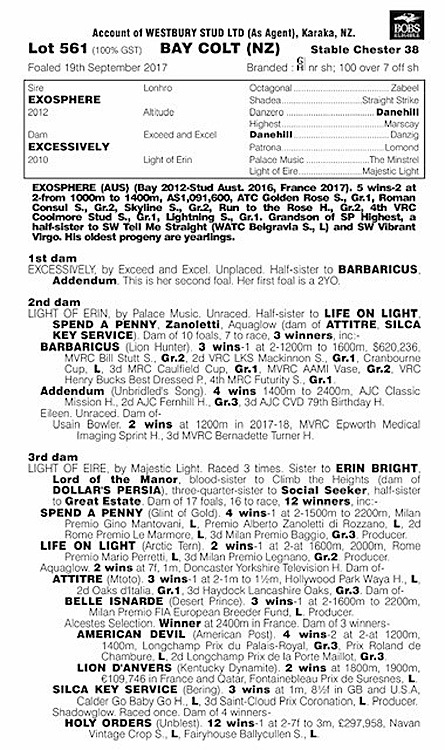 This pedigree has a strong build-up of sires with Exosphere’s second dam being stakes-placed winner Highest (by Marscay) and his third dam being the stakes winner Consular Belle (dam of stakes winners Vibrant Virgo, and Tell me Straight). 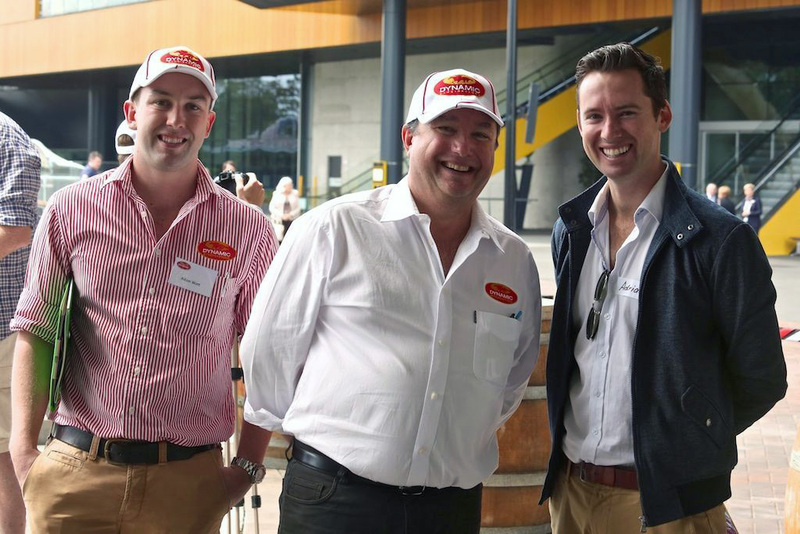 Exosphere's first southern hemisphere crop are at the yearling sales in 2019. 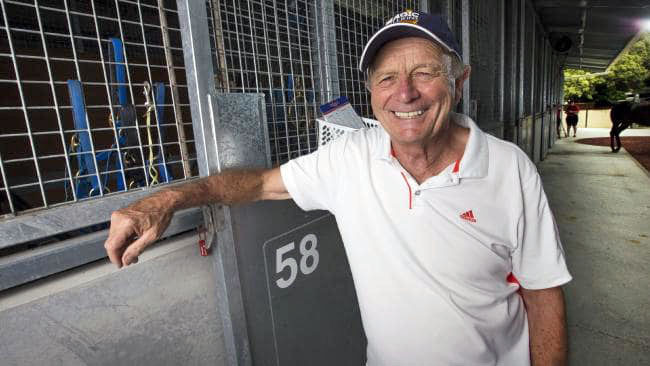 Gerry Harvey Owned the Broodmare LIGHT OF ERIN. 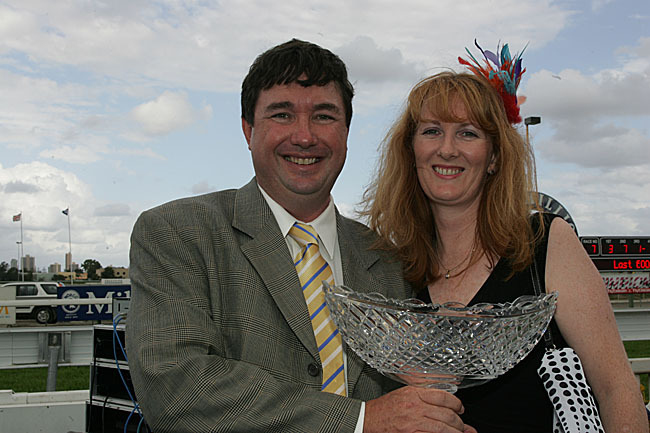 Gerry mated LIGHT OF ERIN to EXCEED AND EXCEL in 2009. The resultant progeny of that mating was EXCESSIVELY. Excessively was retained to race by Gerry Harvey. Gerry then retained Excessively for breeding purposes. She has joined his Baramul Stud / Westbury Farm broodmare band. Whilst Excessively was officially unplaced, there is no doubt this mare had plenty of natural speed and ability which you would expect from a well-bred daughter of Exceed And Excel. However as a racehorse, she had breathing issues. 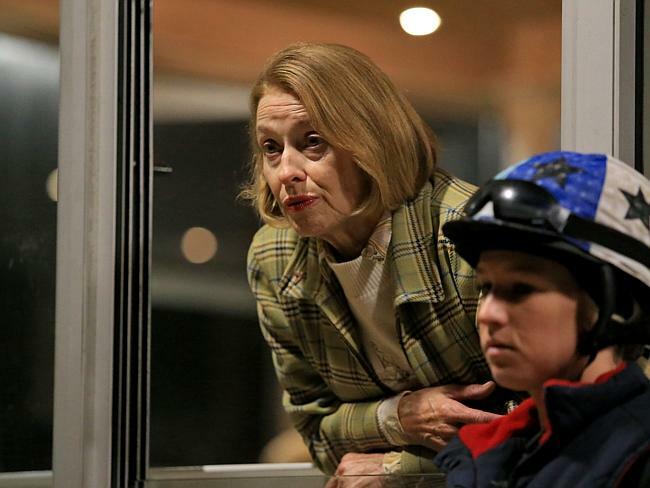 She had nerve damage in her throat that caused a paralysis preventing her from up taking enough oxygen and that stopped her racing up to her ability, as it creates early onset of lactic acid in the horses blood system during the race. 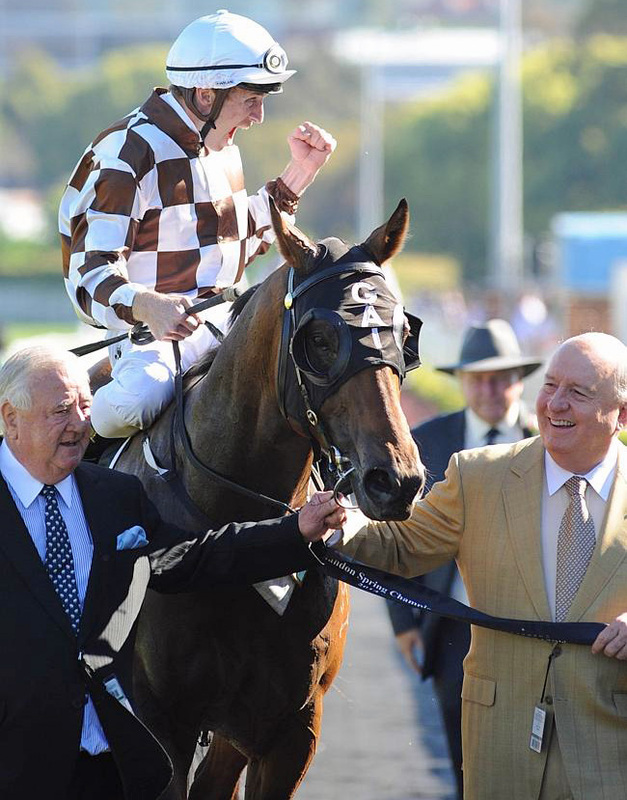 Excessively was originally trained by Rod Craig at Warwick Farm. 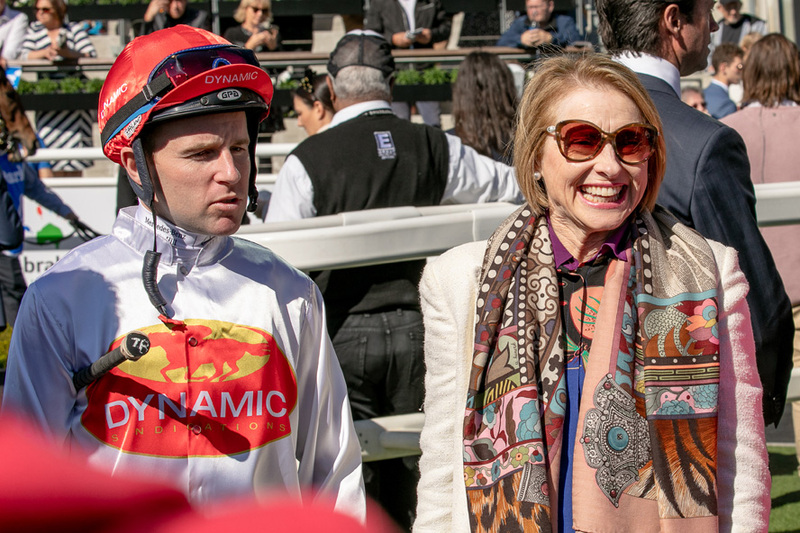 At her only barrier trial at Warwick Farm, prior to her first race start, she donkey licked a heat of 8 runners, recording a 3 length win over the 740m trip on a Heavy 10 surface. 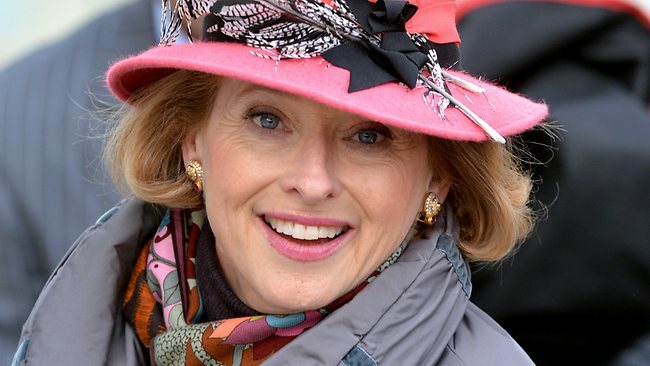 She had 2 races starts that preparation and showed pace to lead but weakened. 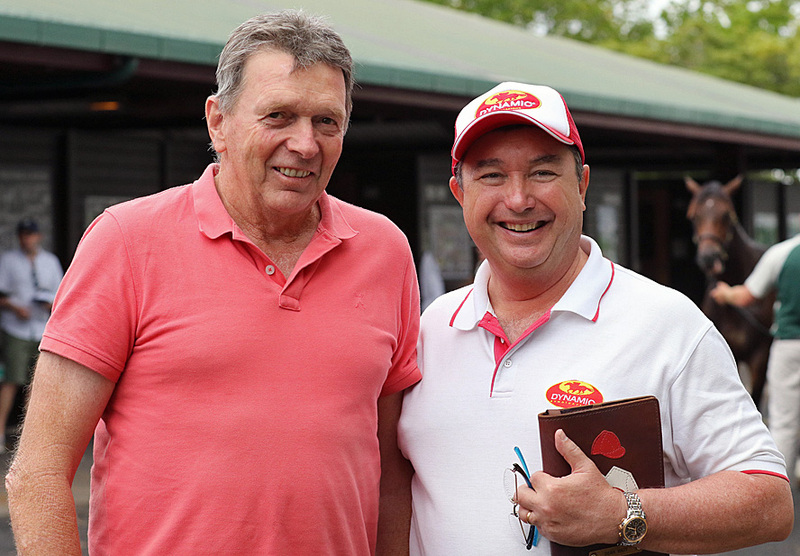 She was spelled and came back for a second preparation, this time with trainer Bjorn Baker at Warwick Farm. 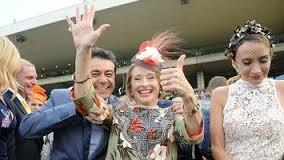 Again she had one barrier trial this time Winning at Rosehill over 900m where she beat high class racehorses by a length. Finishing behind her in the trial were Stakes Horses: Dothraki, Belle de Coeur, Made To Order and Permit. To defeat this standard of competition in an Open Company trial as a Maiden, highlights the obvious ability she had. However in 2 races starts she again raced on pace but didn’t run on due to her throat issues, so was retired and Gerry Harvey added Excessively to his broodmare band because he knew the brilliant pace the mare possessed and believed by mating her correctly, the resulting progeny could be outstanding. AT HIS NZ OPERATION WESTBURY FARM. 2016 Let's Cheer Again (c by Hallowed Crown). 2YO Colt trained by Stuart Kendrick in Brisbane. 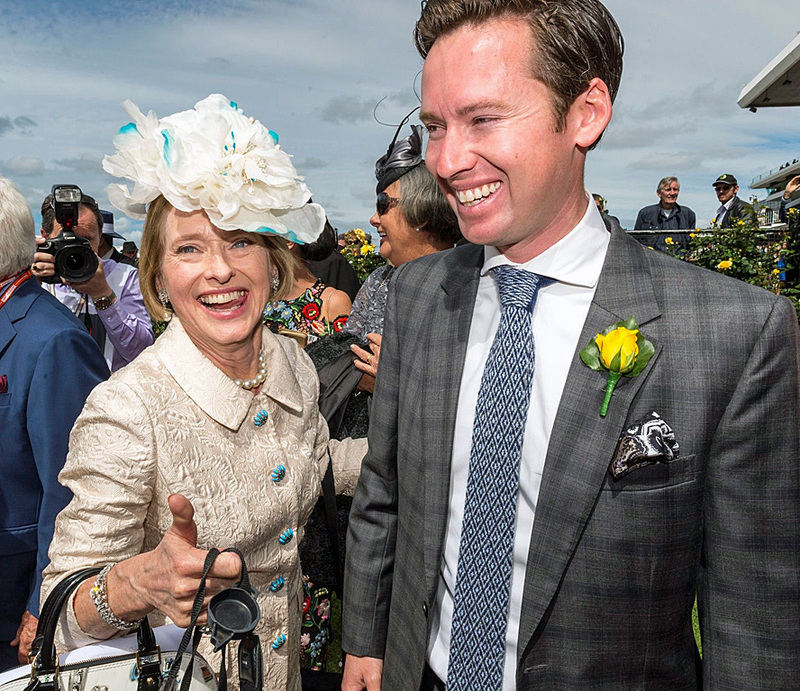 * Won a trial by 1.75 lengths and was then unplaced at his only run behind outstanding 2YO Dubious when trying to qualify for the Magic Millions. He led that day, showing the same natural speed his Dam displayed however pulled up shinsore. 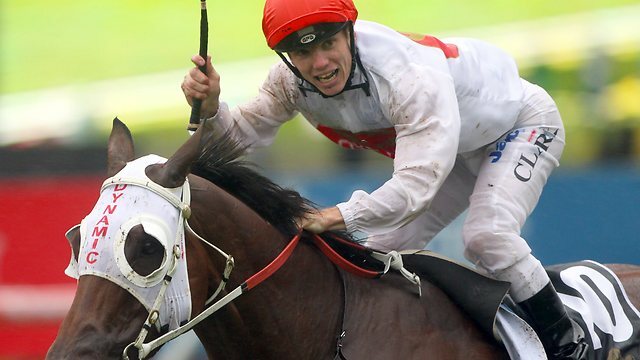 * He was spelled and is now back-in-work aiming at the Brisbane Winter Carnival. 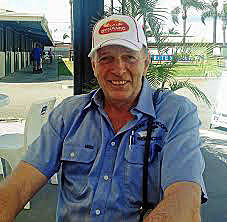 Served by Redwood in 2018. 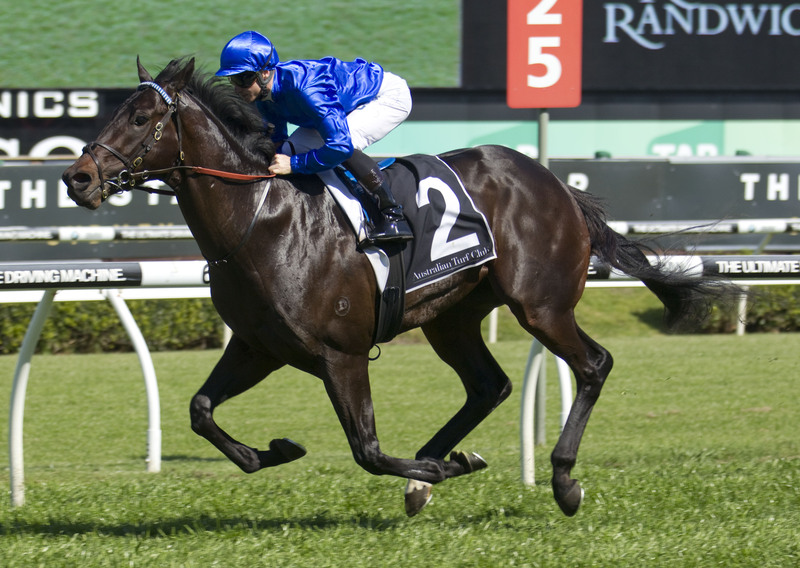 “Super thing about Exosphere is that it looks like Exosphere could carry the flag for his sire Lonhro. “He’s an exciting son of Lonhro, he’s got a lot of Lonhro’s attributes but importantly he brings a lot of his own attributes as well. “This is a lovely horse, he’s a super horse. We graded this horse very highly, he’s going to develop, and he’s probably going to have some 2yo ability, so I think he’s got all the attributes we look for in a horse. 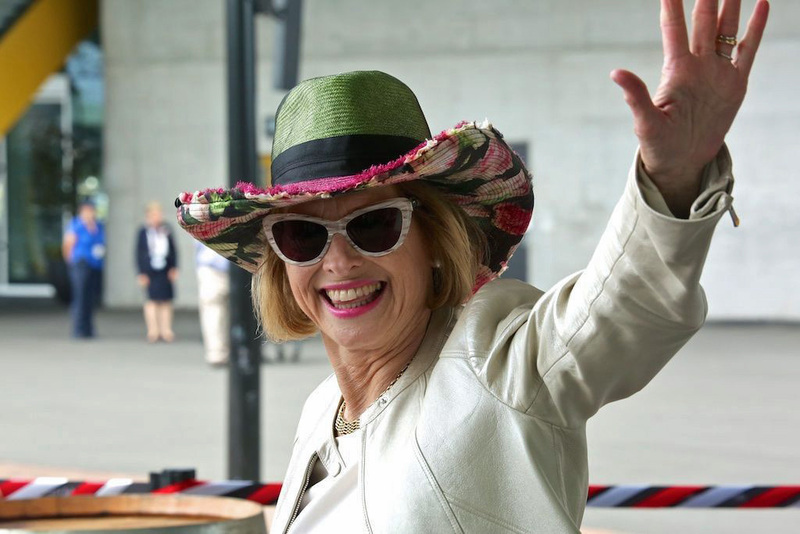 "At the Magic Millions we bought a lovey Exosphere colt. 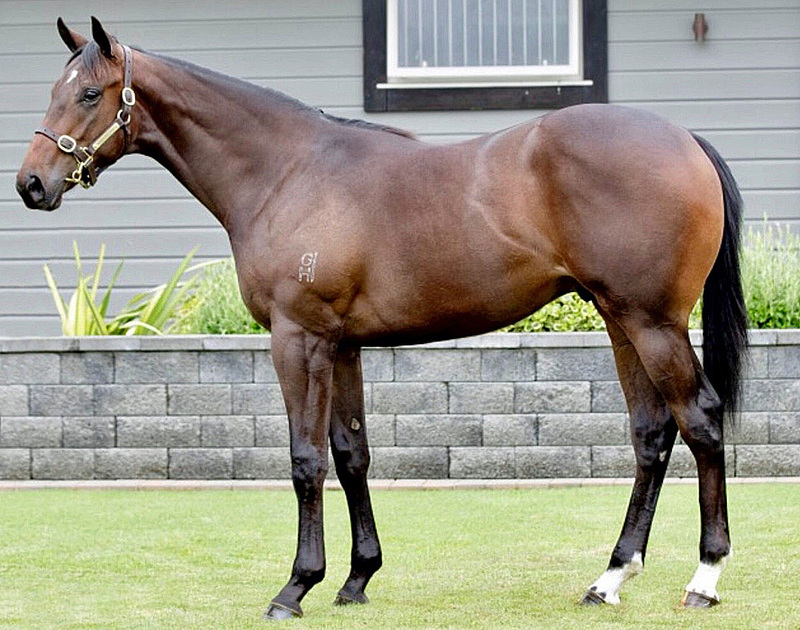 I targeted Exosphere as a First Crop Sire that we should buy progeny of and I was in love with this colt and as it turned out, so was his breeder Gerry Harvey who had bred the colt in NZ and flown him to Australia to sell him at the Magic Millions. Exosphere was such a powerful and precocious racehorse and this colt looks just like Exosphere – he’s a carbon copy of him. 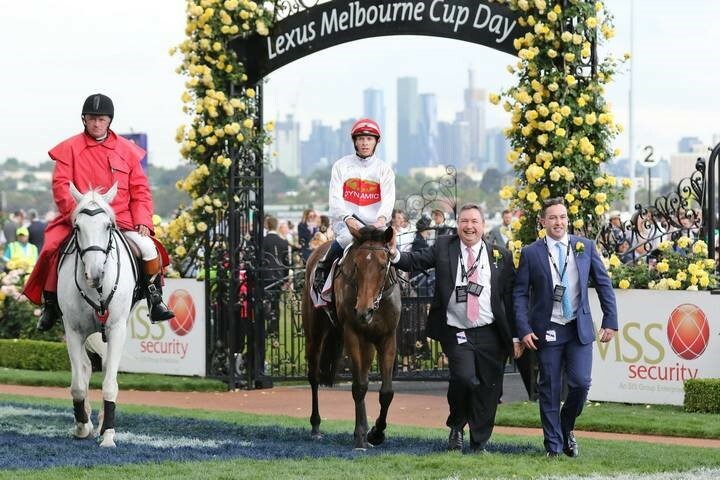 Big, Strong and Correct, he looks like a 2yo already and being a son of an Exceed And Excel mare with Exceed And Excel being the World Champion 2yo sire we have got every opportunity to be aiming at the Big 2yo races." "He’s a lovely colt, strong and correct with bone for bulk he fills the eye. If he doesn’t make a 2yo to aim at the Magic Millions nothing will. Gerry Harvey is too astute, so to have him involved for 25% is the perfect endorsement that his colt inspired him from a foal. 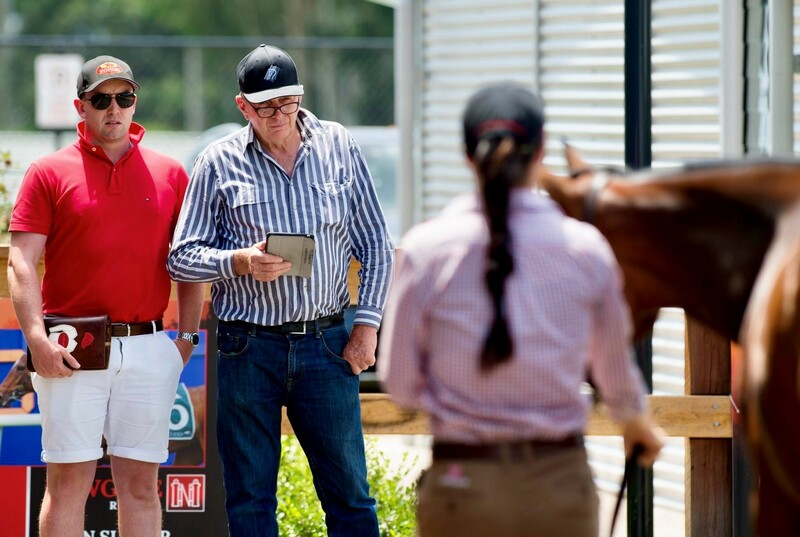 "To add the costs of flying him to Australia to sell him at the Magic Millions speaks volumes that this colt is the perfect candidate. 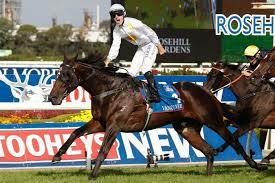 Adrian and I are excited to be training him and we look forward to his arrival at Tulloch Lodge. " 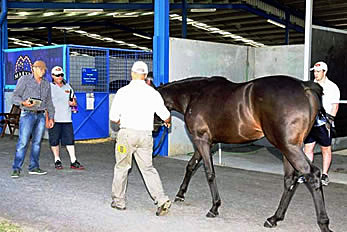 LONHRO over EXCEED AND EXCEL cross. Also this has been rated a “A+++” class mating with an opportunity that this mating can produce an above average racehorse when compared to the total number of horses produced by the sire to date. This is classed as a “EXCELLENT” chance to produce an exceptional performer that may reach Black Type level. 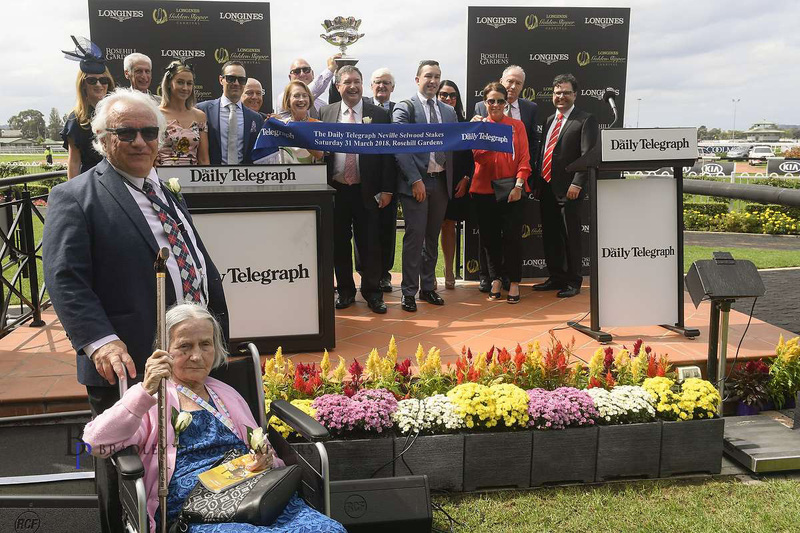 Any analysis must look at the entire pedigree as whole however there are key indicators in pedigrees that expose greater insight and the propensity of the mating to produce a High Quality racehorse as compared to the average population. "Common Similarity Index" (CSI) is a measure of how close the pedigree of the Stakes Winner matches the hypothetical-mating. 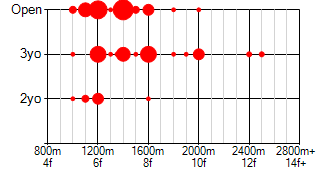 In general, values at and above 18 indicate a strong similarity. 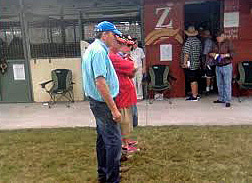 As a rule of thumb, if the results list shows 4 or more horses with CSI of 18 or above, it is usually a "good mating". A 20/20 mating occurs when a pattern has 2 or more Stakes Winners with CSI values above 20. 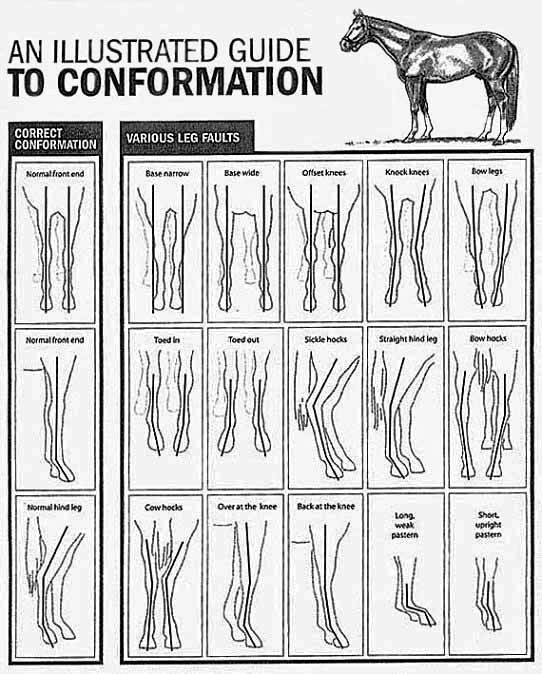 This indicates that this pedigree is "exceptional" as there are at least 2 superior horses with a "very similar" pattern. In the breeding pattern of our yearling the number of matched ancestors is HIGH. There were 7 Stakes Winners with very similar breeding patterns. Our COLT with conformation and commercial (+ genetic) pedigree, has been specifically selected to target Black-Type 3yo CLASSIC Races. Classic racing is not a lucky-dip. If the horse is not bred to be a middle distance contender in the first instance - then they can't win. 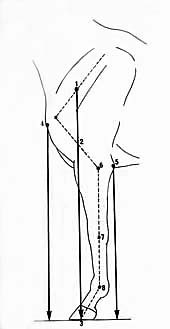 They need the size, strength and conformation to handle the pressure. To win these races you must have the horse that meets the necessary criteria. 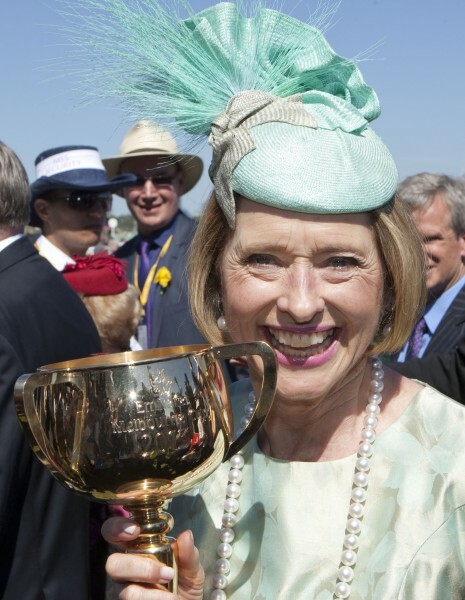 Astute equine investors have been contacting the Team at Dynamic Syndications aware of the quality this individual has and the conformation, size and scope that matches her brilliant pedigree. How is the Share Price Calculated? Ongoing Costs from 1 July 2019: Ongoing costs after 1 July, we advise owners to budget an average of $10.00 per day per 5% Share over 12 months ($3,660 per annum / $305 per month) which we estimate should cover most / all cost. 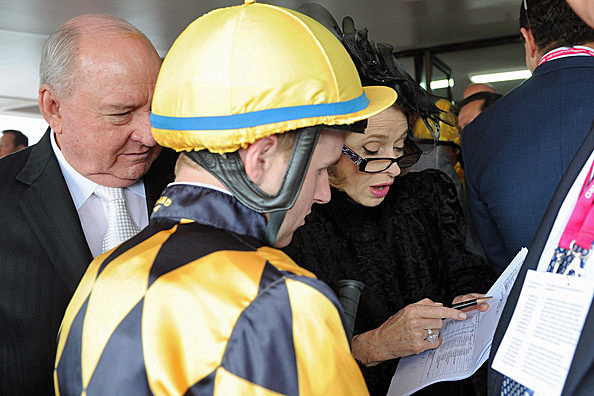 Black-Type racing is not a lucky-dip. If the horse is not bred to be a high quality contender in the first instance - then they can't win. They need the size, strength and conformation to handle the pressure. To win these races you must have the horse that meets the necessary criteria. 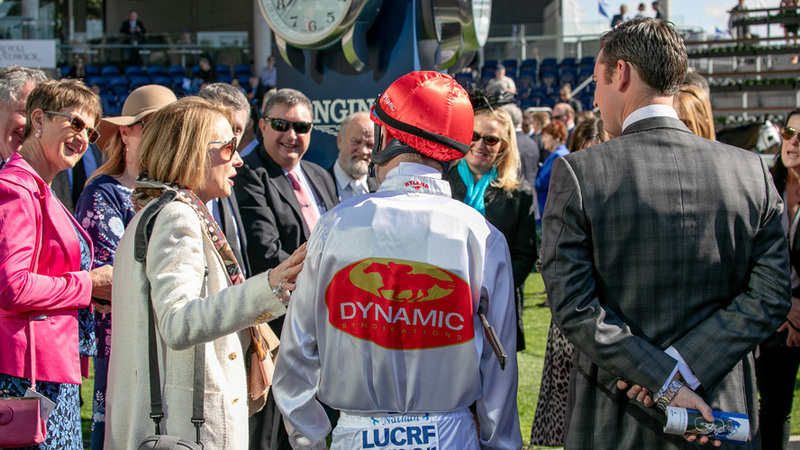 Astute equine investors have been contacting the Team at Dynamic Syndications aware of the quality this individual has and the conformation, size and scope that matches a brilliant pedigree. 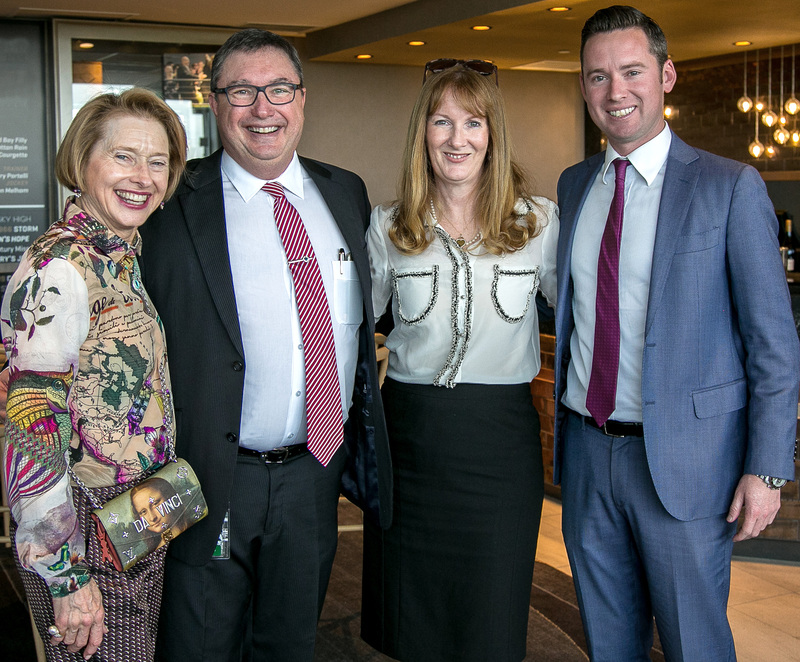 to chat about what we already know and the plans we have in place to maximise financial returns on such as fabulous COLT. 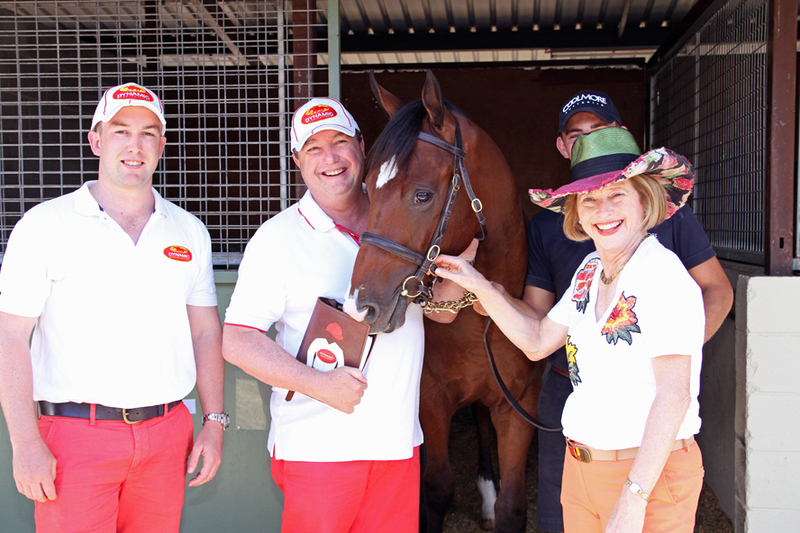 to the TEAM to own & race this COLT with us ! The win of Exosphere in the Gr1 Golden Rose is a great result for the colt’s owner/breeder Sheikh Mohammed, for his sire Lonhro and for the Sir Ivor sireline. Sir Ivor was the Winner of the G1 2000 Guineas, Derby, Champion S. and Washington DC International in 1968. Sir Ivor retired to Claiborne in 1969. He sired plenty of good racehorses and broodmares, but as a sire of sires he was a non-achiever–with one glorious exception. Sir Tristram was far from the best racehorse sired by Sir Ivor, recording just two minor wins in France from 19 starts. Of no interest to breeders in the States and Europe, he was bought by Patrick Hogan, at the time a young studmaster in New Zealand who was influenced by the fact that Sir Tristram came from the same family as the influential stallions Hyperion, Sickle, Pharamond, Hunter’s Moon and Mossborough. From his base at Cambridge Stud, Sir Tristram proved easily the best stallion sired by Sir Ivor, ultimately setting a new world record for individual Group/Grade 1 winners (45). 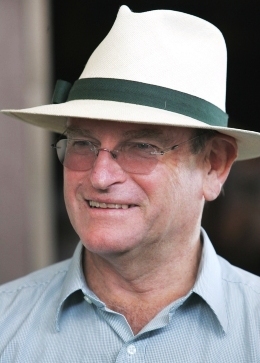 Sir Patrick Hogan always said that he would wait until he was confident that he had found Sir Tristram’s successor before adding a son of the patriarch to the roster at Cambridge Stud. Eventually he decided that he had found him: Zabeel (NZ), winner in 1990 of the Gr1 VRC Australian Guineas. Zabeel duly turned out to be easily the most successful of the 14 sons of Sir Tristram who sired at least one Group 1 winner. Zabeel’s sons included two horses who were voted Horse of the Year in Australia: the outstanding gelding Might And Power (NZ), and 10-time Group 1 winner Octagonal (NZ). Bred by Cambridge Stud from its outstanding matron Eight Carat (GB), Octagonal was raced by Jack and Bob Ingham, whose Woodlands Stud was the largest and most successful owner/breeder operation in Australia. 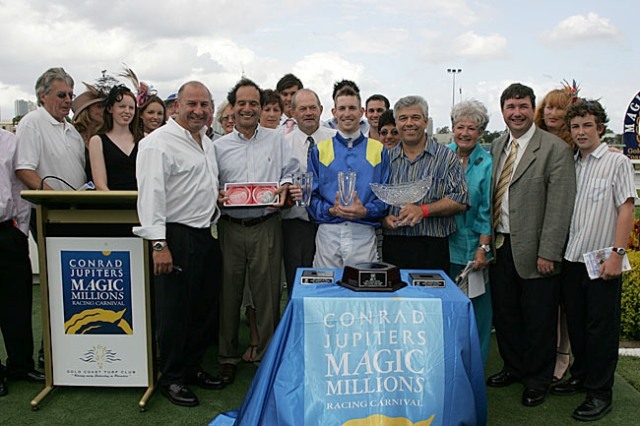 Octagonal got off to a flying start at Woodlands with his first winner Lonhro, who eventually won one more Group 1 race than his father had done, as well as in 2003/04 becoming Australia’s only Horse of the Year sired by a previous Horse of the Year. 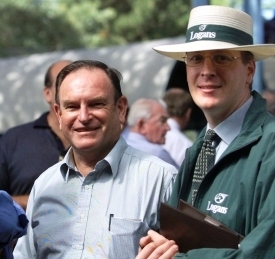 Sheikh Mohammed bought Woodlands Stud and its stock from the Ingham family in May of 2008. 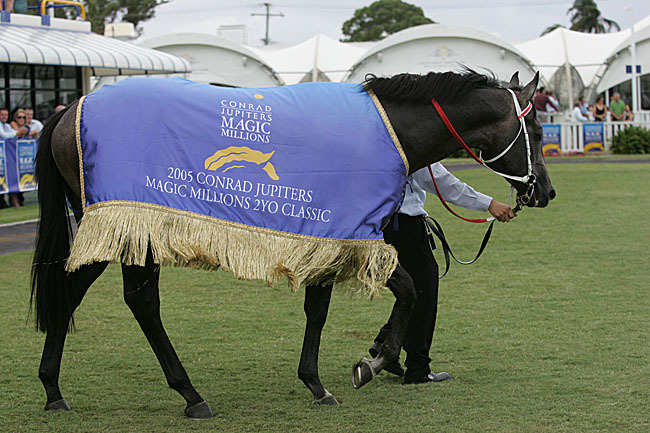 Lonhro was unproven as a stallion at the time, but he has subsequently proved himself to be world-class, not least by being champion sire in 2010/11. 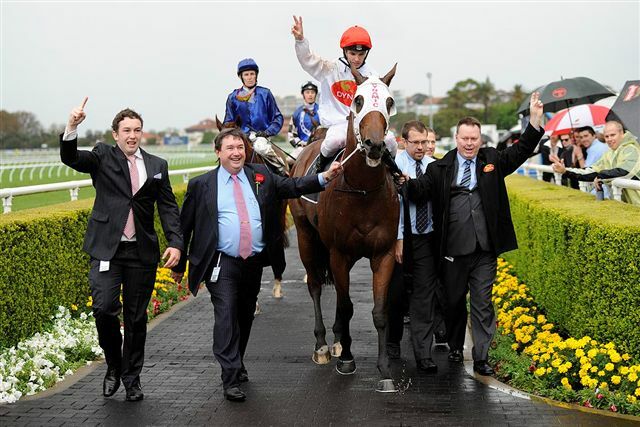 That achievement prompted a period of reverse-shuttling to Jonabell Farm in Kentucky, beginning in 2012, in which year he was represented in Australia by the Gai Waterhouse trained Gr1 Golden Slipper winner Pierro. Among the races that have helped to cement Lonhro’s reputation as a stallion has been the Golden Rose, run at Rosehill each spring. 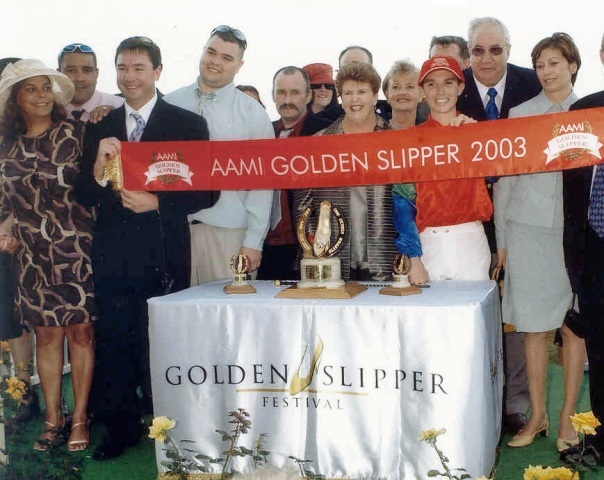 This race, formerly known as the Peter Pan Stakes, was given its current title in 2003 in an effort to boost its status, the implication being that it had become for spring 3-year-olds, what the Golden Slipper is for autumn 2-year-olds. 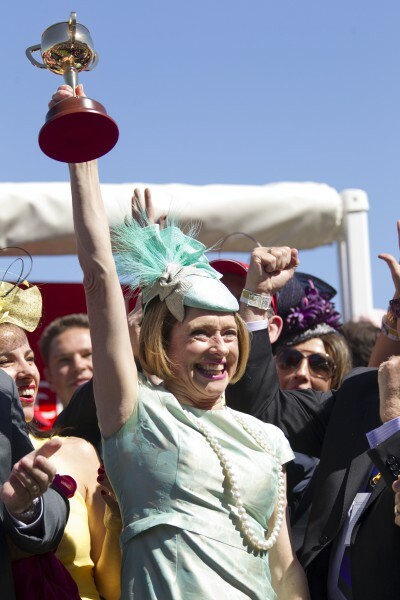 It had previously carried Group 2 status and been a lead-up race for more important events later in the spring, but since 2003, it has been promoted as a championship race in its own right and in 2009 was elevated to Gr1 status. 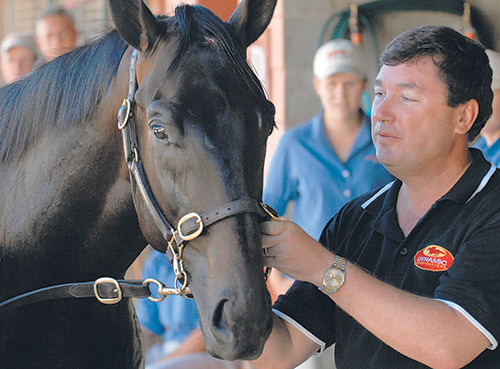 The first Gr1 Golden Rose was won by a Woodlands-bred, Darley-raced son of Lonhro in Denman. The 2015 renewal saw another Darley homebred Lonhro colt, Exosphere win. 14 October 2014 Heat 6 - 9:05AM OPEN TRIAL (900 METRES). Race Record: 54 Starts 8-11-12 A$1,606,535. 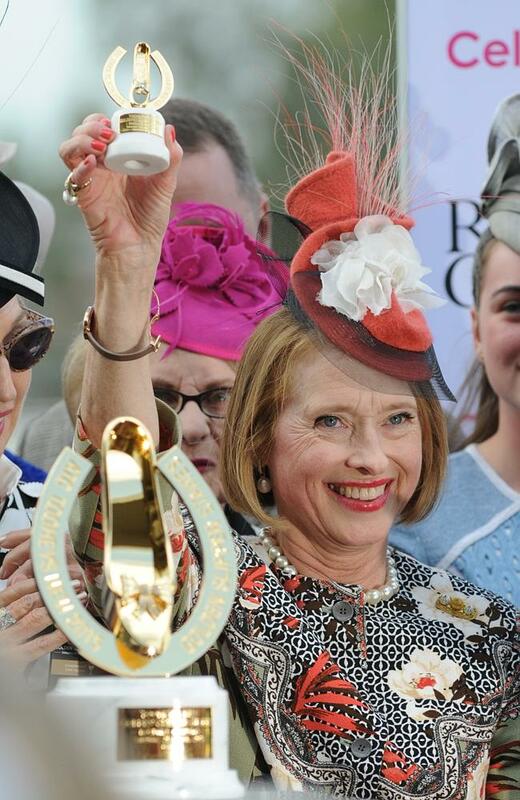 Race Record: 3 wins at 1200m, A$184,165, ATC Diocesan Development Fund H., 2d BRC Glenlogan Park S., Gr.3, 3d ATC Sapphire S., Gr.2, BRC Dane Ripper S., Gr.2, Qld Tatt's RC Mercedes Benz Mile H., L, 4th VRC Hong Kong Jockey Club S., Gr.3. 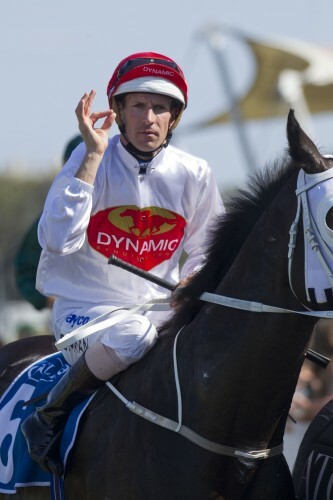 Race Record: 3 wins from 1350m to 1800m, A$229,375, ATC Australian Turf Club H., Hungry Jack's H., Big Sports Breakfast H., 2d Qld Tatt's RC Southbank Insurance Brokers H., L, ATC Alconex Fire H., 3d SCTC Pryde's Easifeed H., ATC Merrylands RSL Club H., Sepoys at Next Year's Sale H.
Race Record: Winner at 1800m. Race Record: 53 Starts 9-7-4 €46,800, A$638,005. CASTLE FORBES, by Tulyar. Top filly on The 1963 USA 2YO Free H. 8 wins-5 at 2-from 6f to 8½f, US$359,366, Aqueduct Acorn S., Gr1, Monmouth Sorority S., L, Garden State Gardenia S., 2d Coaching Club American Oaks, Monmouth Oaks, Aqueduct Astoria S., Astarita S., Delaware Park Polly Drummond S., Garden State Rancocas S., 3d Aqueduct Frizette S., Beldame S., Saratoga Alabama S., Delaware Oaks, Aqueduct Gazelle H., Arlington-Washington Lassie S.
ALPINE LASS (f Bold Ruler) 9 wins-2 at 2-from 6f to 8½f, US$206,672, Belmont Matron S., Gr.1, Aqueduct Busanda S., L, 2d Aqueduct Demoiselle S., Gr.3, 3d Saratoga Test S., Gr.3. IRISH CASTLE (c Bold Ruler) 4 wins at 2, Saratoga Hopeful S., Gr.1, 3d Belmont Futurity S., Aqueduct Great American S. Sire. 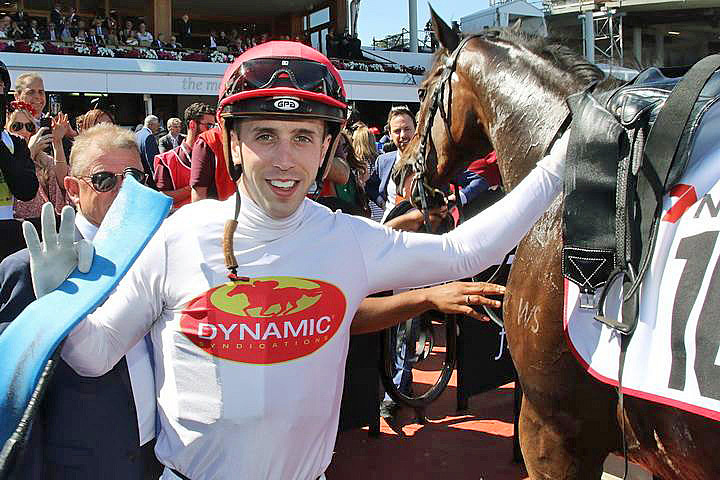 BARBARICUS (g Lion Hunter) 3 wins-1 at 2-from 1200m to 1600m, A$598,550, 55,200Dhs, MVRC Bill Stutt S., Gr.2, 2d VRC LKS Mackinnon S., Gr.1, Cranbourne Cup, L, 3d MRC Caulfield Cup, Gr.1, MVRC AAMI Vase, Gr.2, VRC Henry Bucks Best Dressed P., Hanan Displays H., MRC Corps of Commissionaires H., Nad al Sheba Xpress 2000 H., MVRC Taylors Lakes Family Hotel H., 4th MRC Futurity S., Gr.1. ERIN BRIGHT (c by Majestic Light). 6 wins from 1¼m to 2¼m, US$210,290, Aqueduct Display H., Gr.3. Sire. 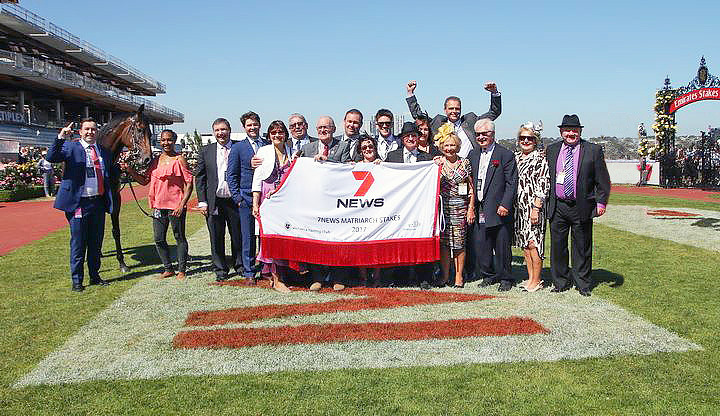 DELINEATOR (c Storm Cat) 5 wins-4 at 2, US$253,225, Hollywood Park Generous S., Gr.3, Bay Meadows Leland Stanford S., L, 2d Hollywood Park John Peri H., L, 3d Bay Meadows California Juvenile S., Gr.3. Sire. 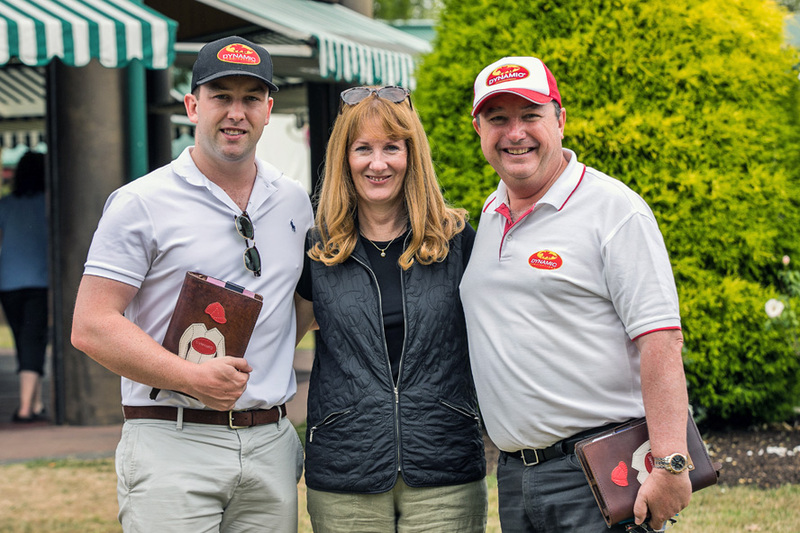 AMERICAN DEVIL (c American Post) 4 wins-2 at 2-at 1200m, 1400m, £14,123, €206,275, Longchamp Prix du Palais-Royal, Gr.3, Prix Roland de Chambure, L, Chantilly Prix du Coq Chantant, Longchamp Prix du Gros Caillou, 2d Longchamp Prix de la Porte Maillot, Gr.3, Maisons-Laffitte Prix Servanne, L, 3d Longchamp Prix du Pin, Gr.3, Prix La Rochette, Gr.3, 4th Deauville Prix Maurice de Gheest, Gr.1, Longchamp Prix de la Porte Maillot, Gr.3. Sire. DOLLAR'S PERSIA (f Persian Heights (GB)) Champion Sprinter in Holland in 1997. 17 wins-2 at 2-from 1000m to 2000m in Belgium and Holland, Ostende Prix Chevalier de Stuers, Duindigt Veefonds Prijs, Trial S., Van Brienen Memoriaal, Sceptre Prijs, Pocahontas Prijs-4 times, Kincsem Prijs, Grote Sprinters Prijs, Dutch One Thousand Guineas, Dutch Gold Cup, 3d Duindigt Grote Prijs der Nederlanden, Kincsem Prijs. LIFE ON LIGHT (f by Arctic Tern). 2 wins-1 at 2-at 1600m, 2000m, Rome Premio Mario Perretti, L, 3d Milan Premio Legnano, Gr.2, Rome Premio Archidamia, L, 4th Oaks d'Italia, Gr.1. SPEND A PENNY (f by Glint of Gold). 4 wins-1 at 2-from 1500m to 2200m, Milan Premio Gino Mantovani, L, Premio Alberto Zanoletti di Rozzano, L, Premio Oriano, Rome Premio Diacono, 2d Rome Premio Le Marmore, L, 3d Milan Premio Baggio, Gr.3, 4th Milan Premio Dormello, Gr.2. 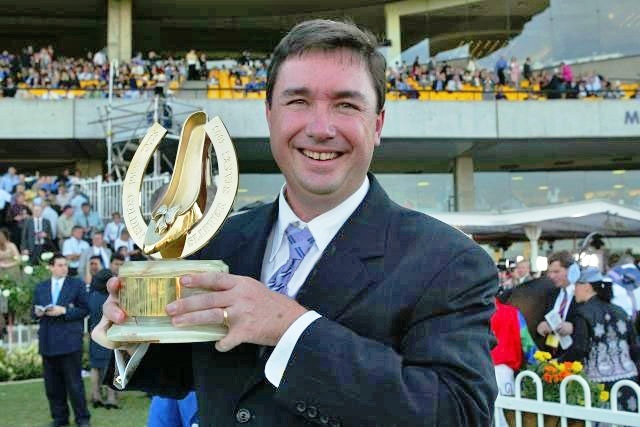 ATTITRE (f Mtoto) 3 wins-1 at 2-from 1m to 1½m, Hollywood Park Waya H., L, Santa Anita Allowance 3YO+f&m, 2d Oaks d'Italia, Gr.1, Newmarket Pretty Polly S., L, Santa Anita Swingtime S., L, 3d Haydock Lancashire Oaks, Gr.3, 4th Newmarket Zetland S., L.
BELLE ISNARDE (f Desert Prince) 3 wins-1 at 2-from 1600m to 2200m, €78,661, Milan Premio FIA European Breeder Fund, L, Premio Crema, Premio Cascina Tibis, 2d Milan Premio Saluzzola, 3d Milan Premio Alberto Zanoletti di Rozzano, L, 4th Rome Premio Archidamia, L.
LION D'ANVERS (c Kentucky Dynamite) 2 wins at 1800m, 1900m in France and Qatar, Fontainebleau Prix de Suresnes, L, 3d Longchamp Prix de Conde, Gr.3, Qatar Gold Trophy, L, 4th Longchamp Prix du Prince d'Orange, Gr.3, Compiegne Prix Daphnis, Gr.3. 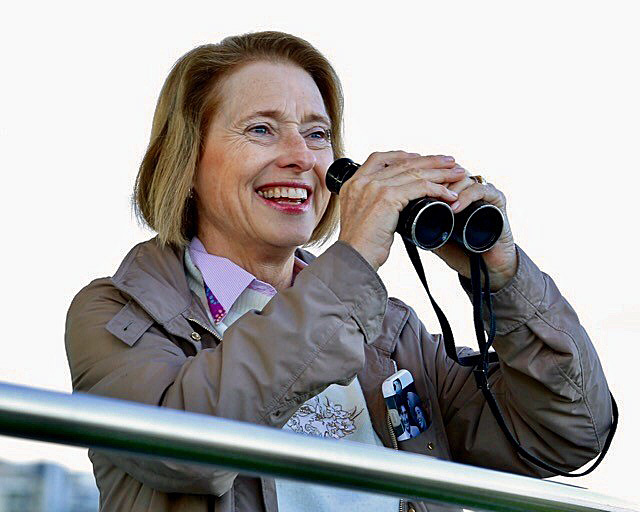 SILCA KEY SERVICE (f Bering) 3 wins at 1m, 8½f in GB and U.S.A, Calder Go Baby Go H., L, Gulfstream Park Allowance 4YO+m, 3d Saint-Cloud Prix Coronation, L.
HOLY ORDERS (g Unblest) 12 wins-1 at 2-from 7f to 3m, £110,860, €281,034, Navan Vintage Crop S., L, Fairyhouse Ballycullen S., L, Curragh September H., The Tote The Easy Way To Bet H., Punchestown Champion Stayers' Hurdle, Fairyhouse Champion 4YO Hurdle, 2d Leopardstown Alleged S., L, Royal Ascot Duke of Edinburgh H., Curragh Hacketts Bookmakers Irish Cesarewitch H., 3d Leopardstown Saval Beg S., L, Limerick Martin Molony S., L, Navan Boyne Hurdle, 4th Baden-Baden Betty Barclay Rennen, Gr.3, Leopardstown Saval Beg S., L, Navan Vintage Crop S., L, Musselburgh Willie Park S., L.
Zanoletti (g by Snippets). 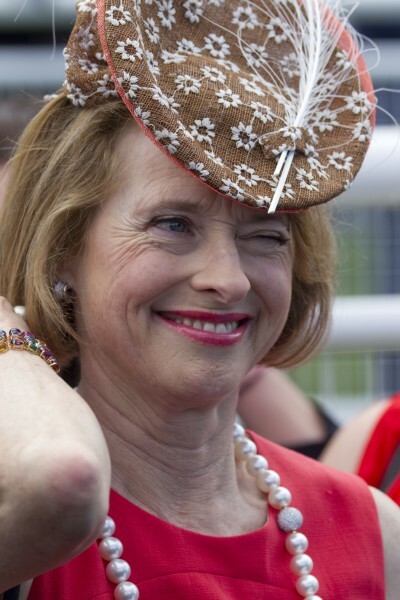 11 wins-3 at 2-to 1400m, A$95,185, STC Marrickville H., 2d Gosford Slipper, L, STC Granville H., Ballina Bracelet. 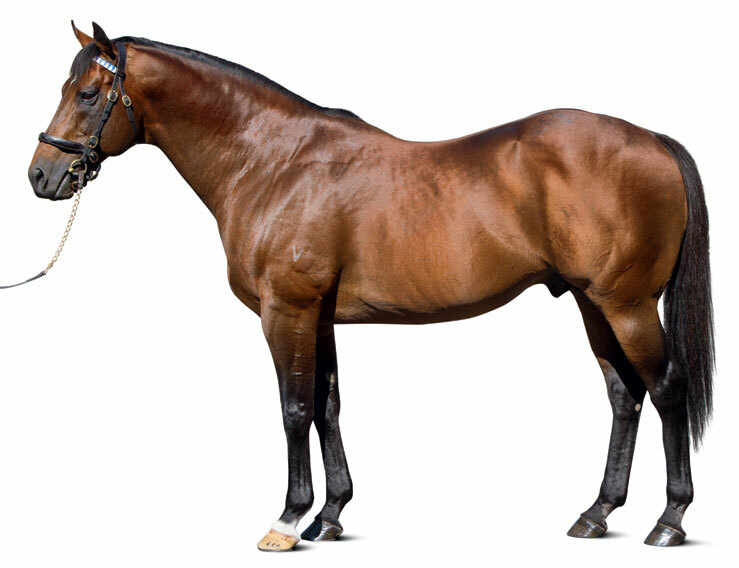 Addendum (g Unbridled's Song (USA)) 4 wins from 1400m to 2400m, AJC Classic Mission H., 2d AJC Fernhill H., Gr.3, 3d AJC CVD 79th Birthday H.
Alpenglow (f Ezzoud) 2 wins at 7f, 1m, 3d Ascot Valiant S., L, Newmarket Ben Marshall S., L.
Lord of the Manor (c by Majestic Light). 5 wins, 2d Aqueduct Excelsior H., Gr.2, 3d Aqueduct Qualified H. Sire. Social Seeker (c by Majestic Prince). Winner, 3d Aqueduct Gallant Fox H., Gr.2. Irish Stronghold (c Bold Ruler) 6 wins-1 at 2, 2d Hialeah Bougainvillea H., Gr.2, Fort Erie Niagara H., Gr.3, 3d Aqueduct Tidal H., Gr.2, Hialeah Palm Beach H., Gr.3, Pimlico Riggs H., Gr.3. Sire. Great Estate (c by Bold Reason). 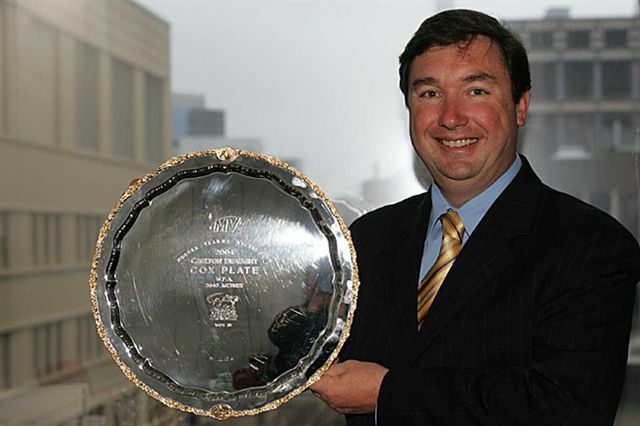 7 wins, 2d Keystone Penn Treaty S., L.
Commentary in brackets has been added in for description purpose so non-horse industry participants may have a better understanding of Dean’s sales notes. A specific formula is applied to each of these variables and a figure is determined. This is our Ceiling Price. The price we are prepared to bid up to in a bidding war in the Salering. The maximum price we set at which we will withdraw from the heat of battle. Considering HIS outstanding conformation and the strength and depth of the female family and the pedigree genetics this individual was secured at a price representing terrific value to the team at Dynamic. 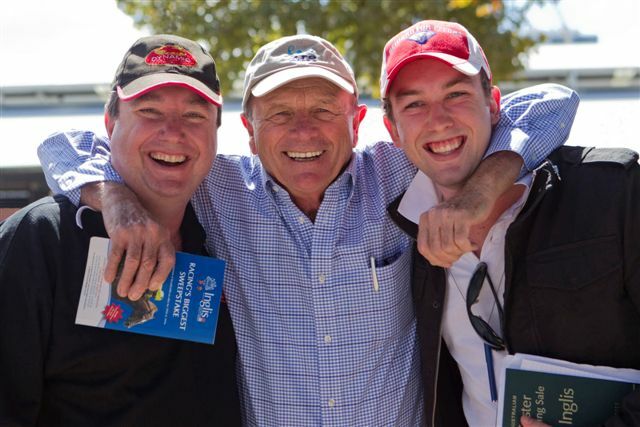 We had valued the yearling at $125,000 (+ one bid $130,000). The secure the Colt at $100,000 was a 20% ($25,000) discount to our market appraisal of the true commercial value and this represented exceptional value that we now pass onto our owners. 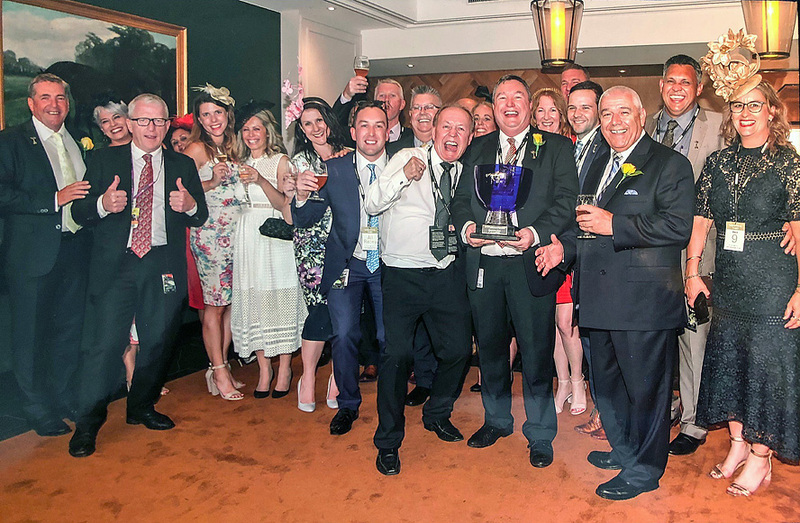 By working so closely together, this formed the basis for Dynamic Syndications foundation Runners : Winners Ratio of 82.5% which has continued to grow and as at MARCH 2019 sits at 93.1%. (2) Inspect a full set of 42 x-rays held in the sale repository. 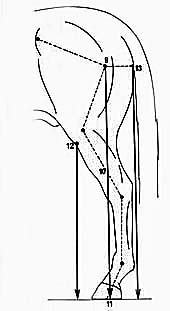 * If the yearling passes these inspections, which is only done by the fact that there were no abnormalities present of any significance (low risk) on any of the x-ray films, and the videoscope was considered Grade 1 = no issue, then the yearling is approved by Dr. ROBERTS to Dynamic for purchase. * After being purchased, each yearling is allowed to then be examined at the sale by an endoscope to check its throat function and windflow capabilities. Even if we have checked the videoscope in the first instance, we still check post-sale to ensure no issues have developed in the interim. 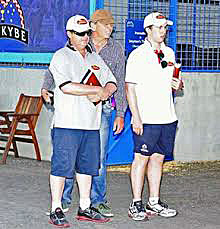 * After being purchased, each yearling is also "blood tested" to ensure that there was no "prohibited substances present" as defined under the Australian Rules of Racing. 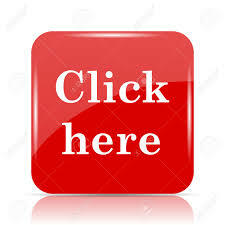 * We advise Dr. ROBERTS of our salering successful purchases and he will then review the scoping on our behalf. If a horse is found to have an issue, the sale is void and the horse is returned immediately to the vendor. or with the Dynamic Syndications business. 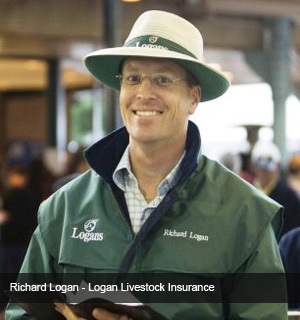 Logan Livestock Insurance Agency Pty Ltd is an independent insurance broker specialising in Equine Insurance. It is a family-owned company which has been arranging insurance and negotiating claim payments for a wide selection of clients for over 45 years. 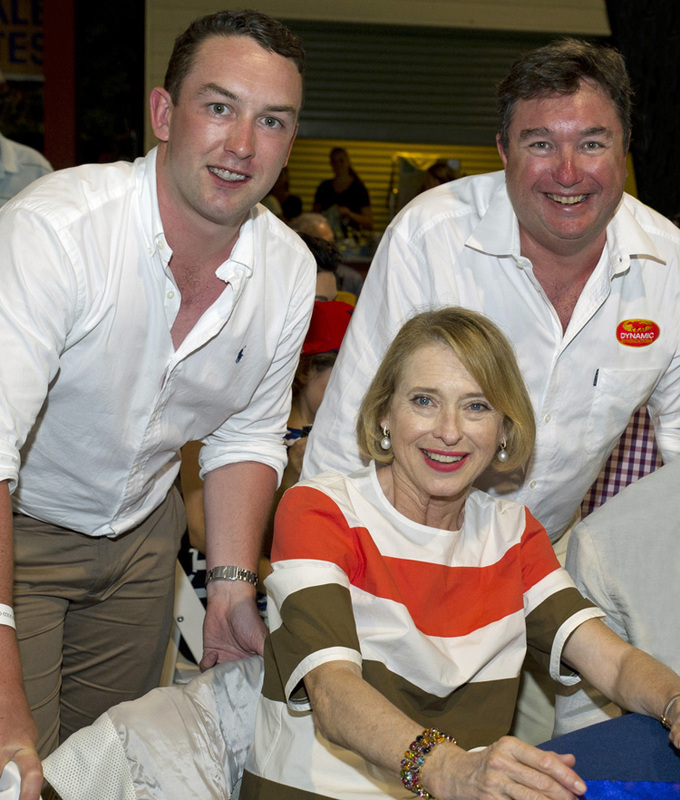 Logans are foundation members of the National Insurance Brokers Association of Australia and are registered under Australian Financial Services License Number 238959. 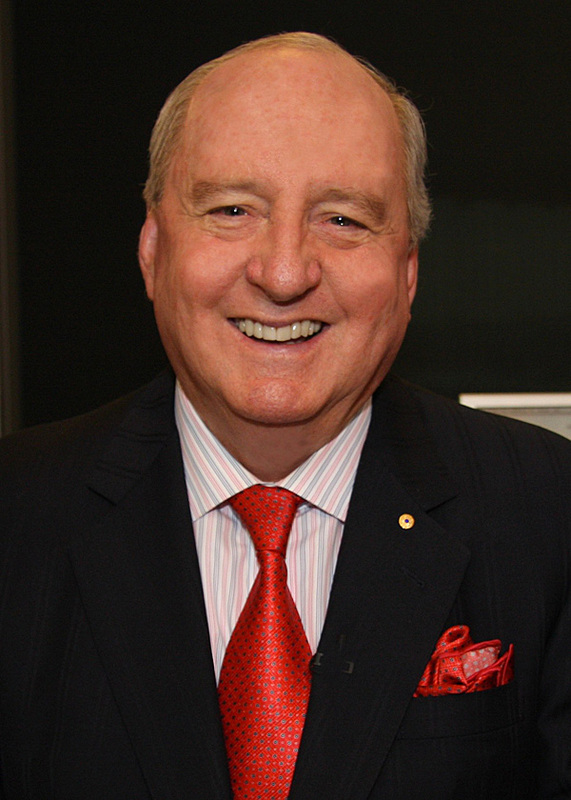 Their son, Richard Logan joined the company in 1984. Richard is a fellow of the Australia & New Zealand Institute of Insurance and Finance and the National Insurance Brokers Association of Australia. 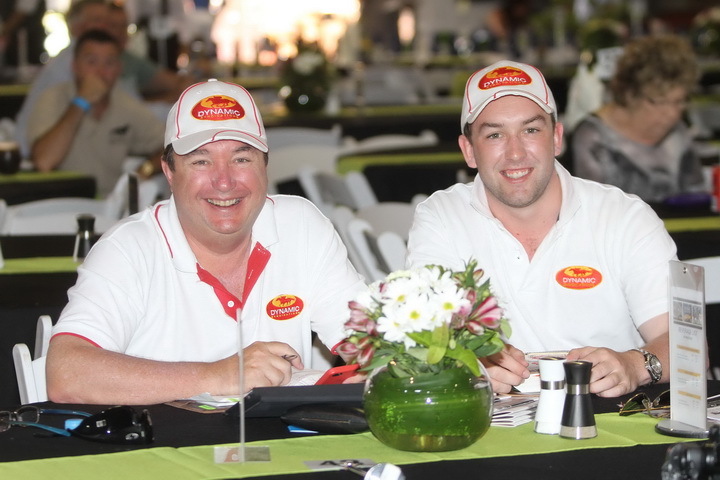 Richard is now the Managing Director of Logans following the sudden death of Bob at the Easter Broodmares Sales in 2007. 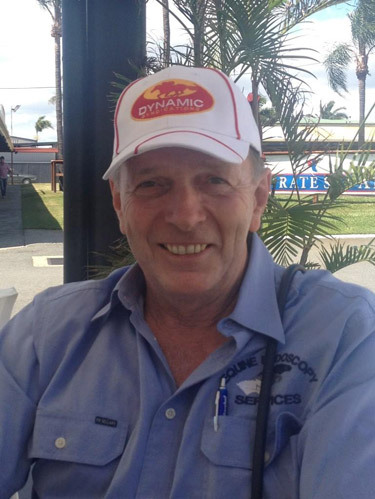 This was a tragic loss to his countless number of friends, clients and the horse industry overall. At Dynamic, our clients gain the benefit of over 30 years of our dealings with Logans together with the one insurance provider and the obvious advantages this association carries. 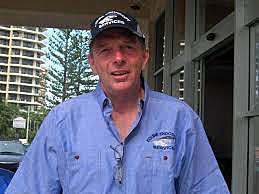 Richard Logan is our man and equine insurance is all they do. attached as an Annexure to the Product Disclosure Statement (PDS). 1 x Mounting Enclosure Entry to speak with your trainer and jockey pre and post race.